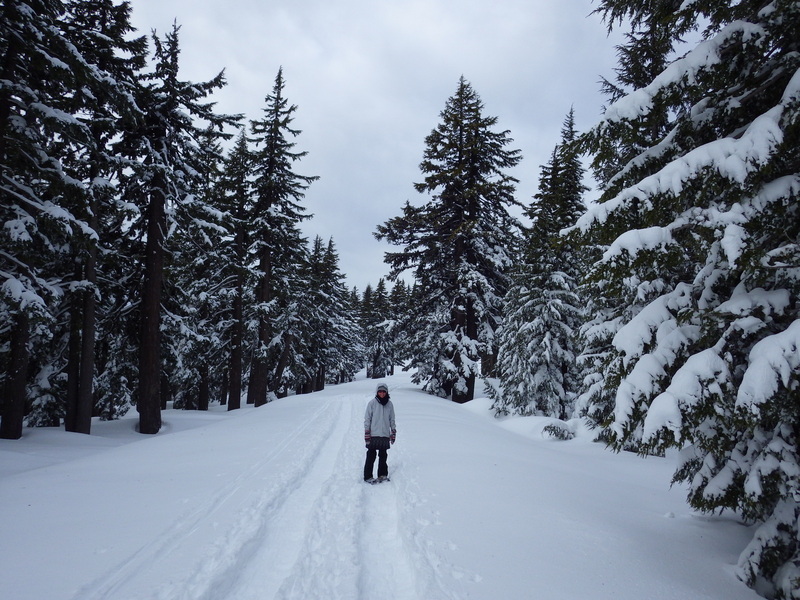 ﻿ February | 2016 | We're not taking a year off…we're taking on a year. 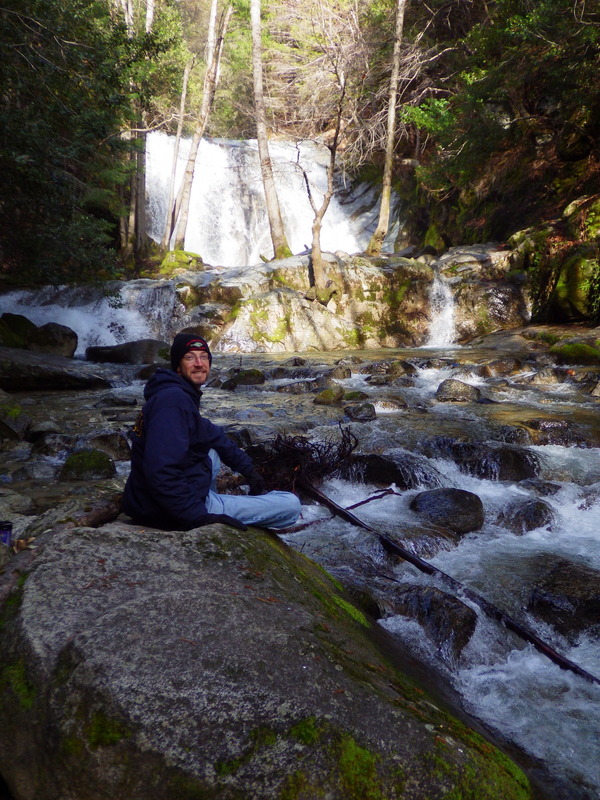 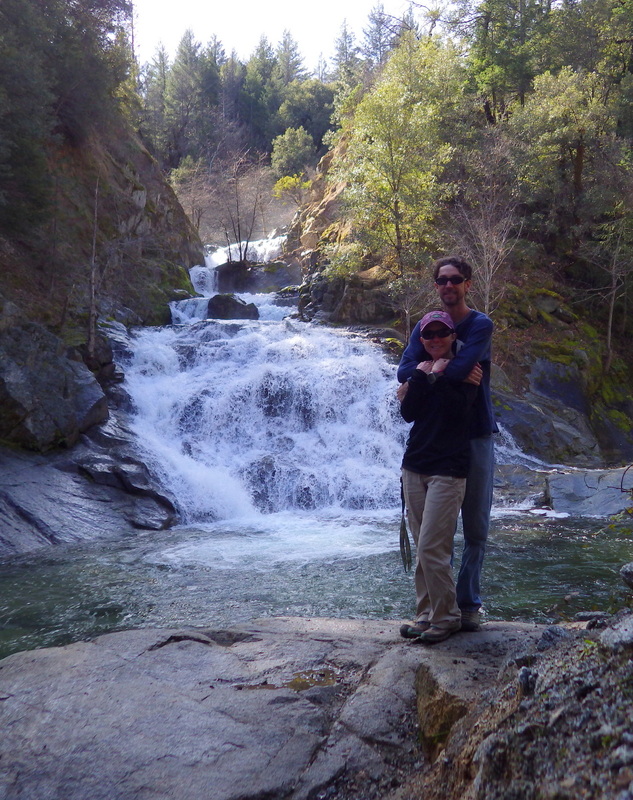 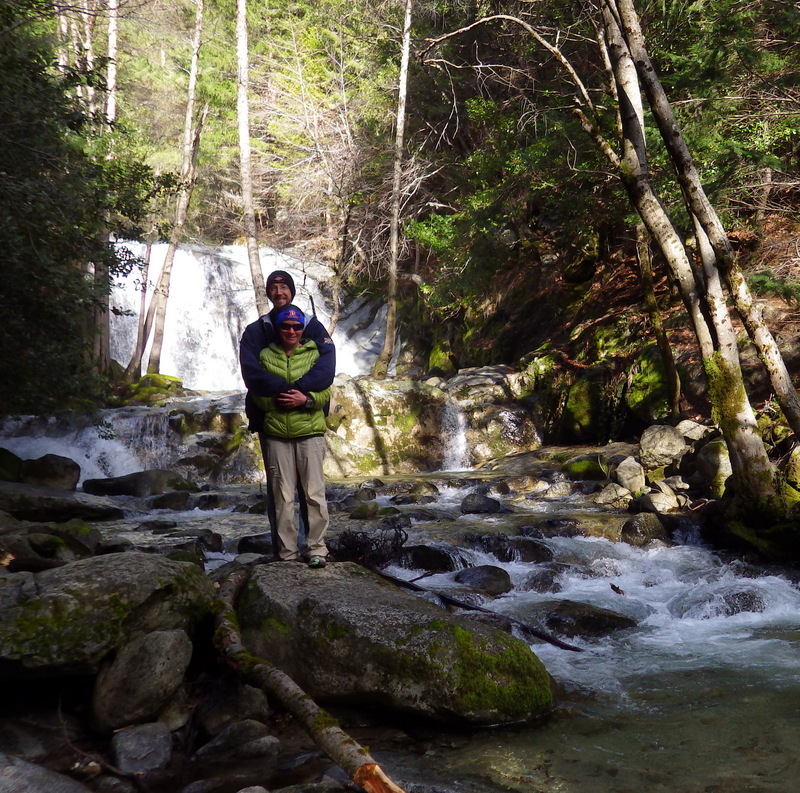 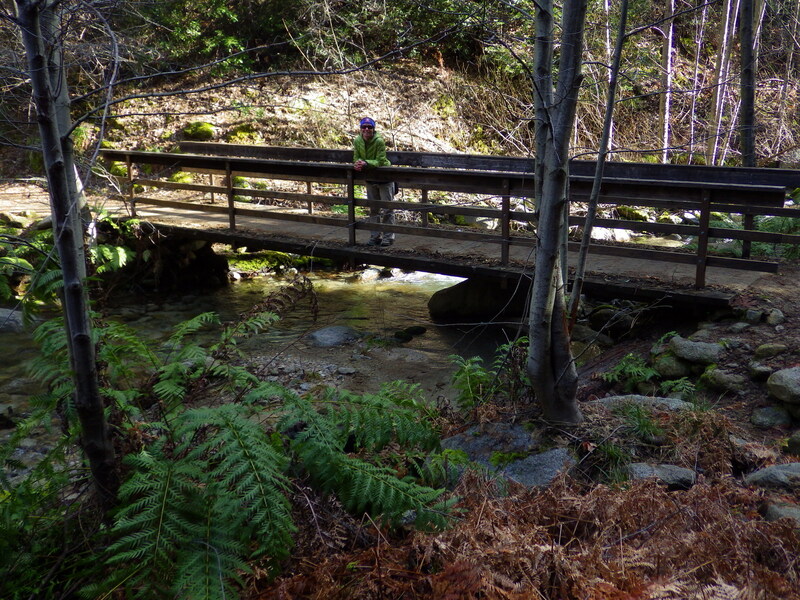 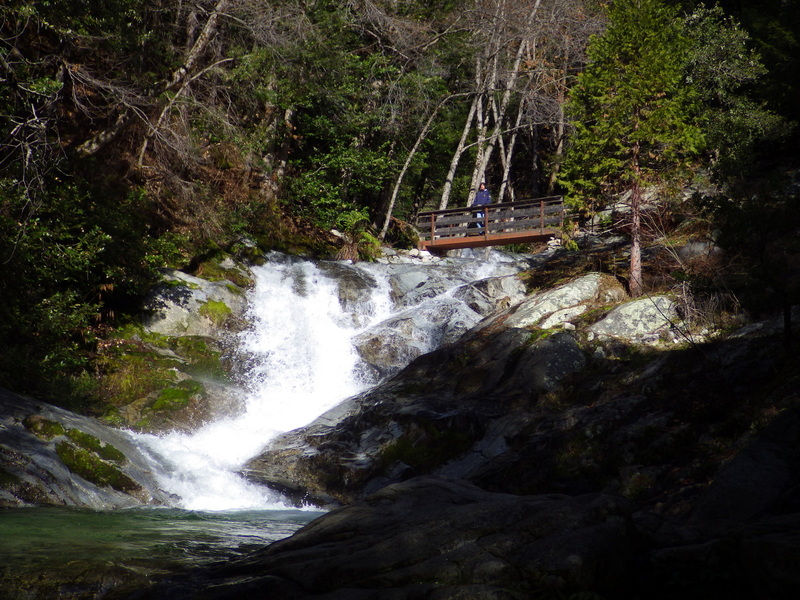 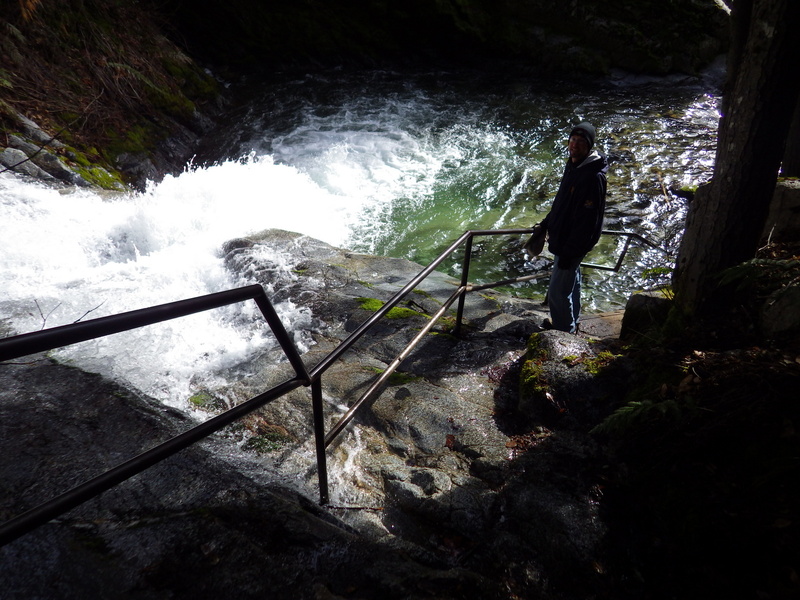 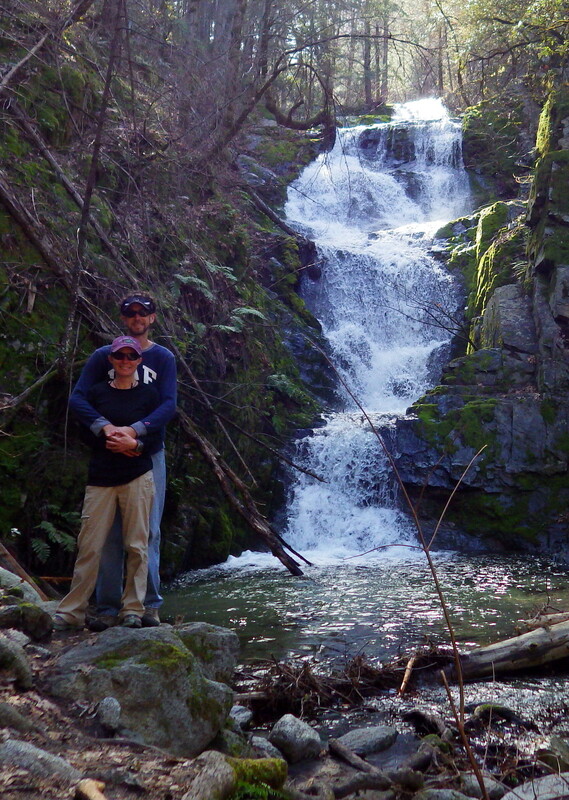 Description: We accessed the 4 separate waterfalls around Whiskeytown Lake by hiking a total of 11 miles, but it may take longer depending on trail choice and road closures. 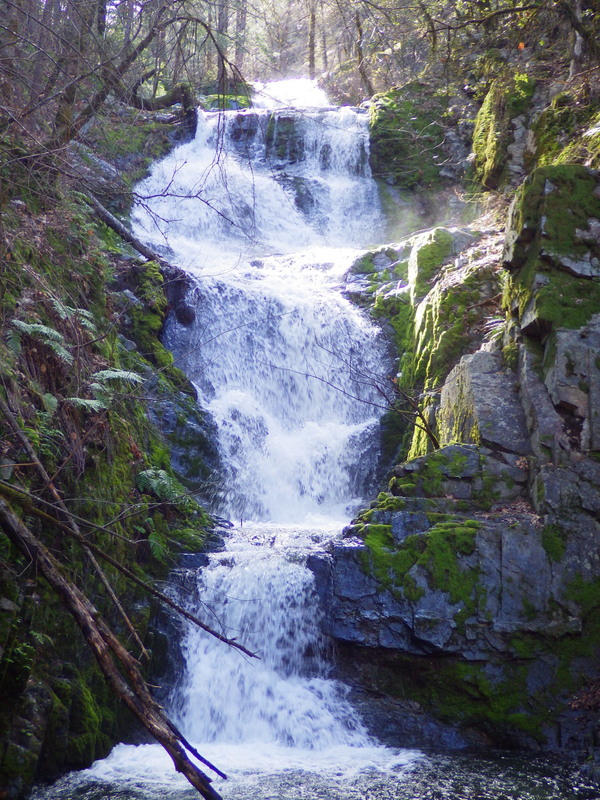 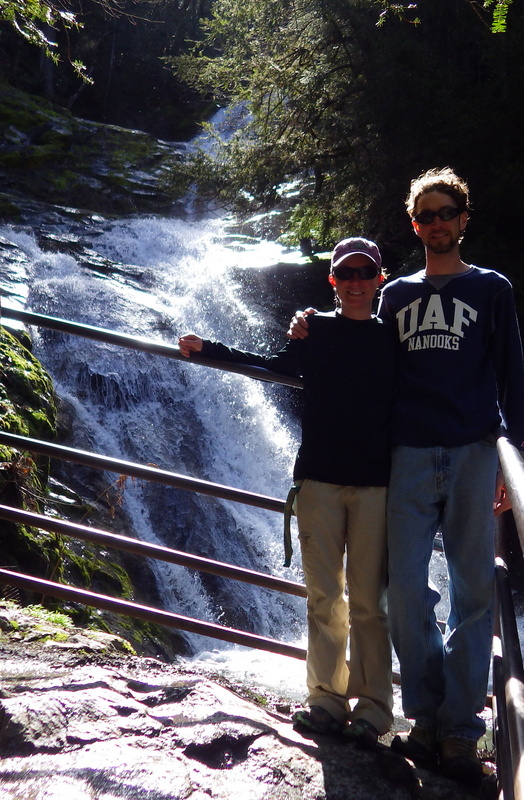 Pick up an official Waterfall Challenge passport at the visitor center along with information on the trails. 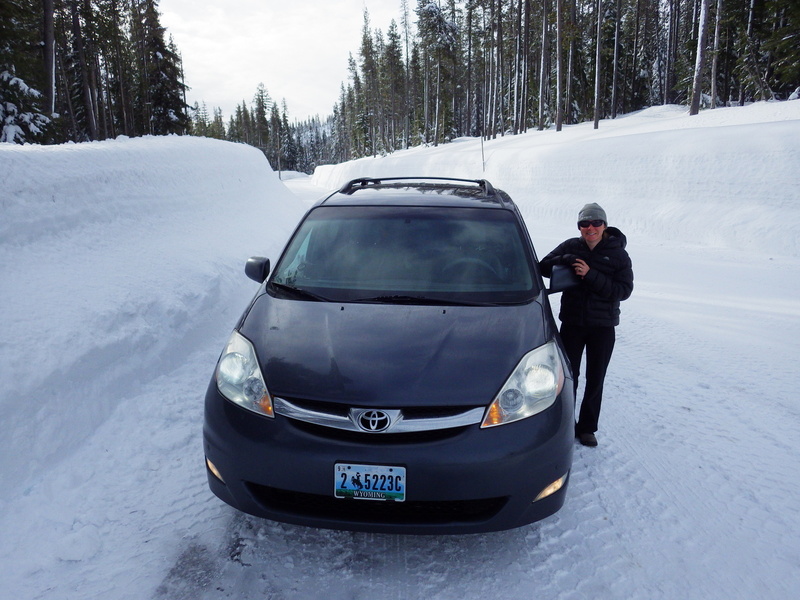 Gravel access roads are rough, but passable with passenger vehicles. 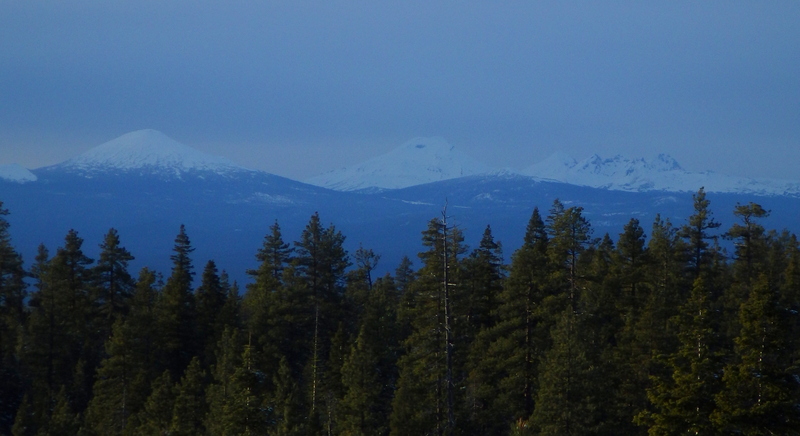 Description: Great views of granite Castle Crags and snowy Mount Shasta from end of road. 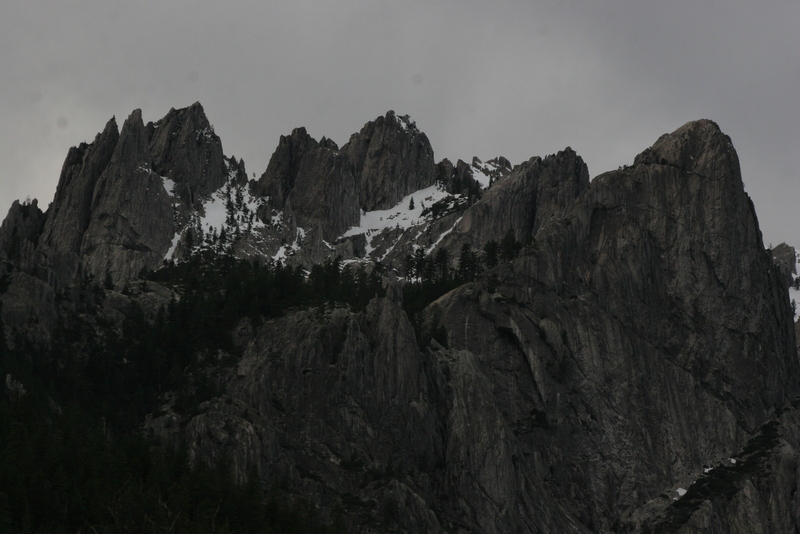 A trail climbs steeply 2,500 feet to top of crags. 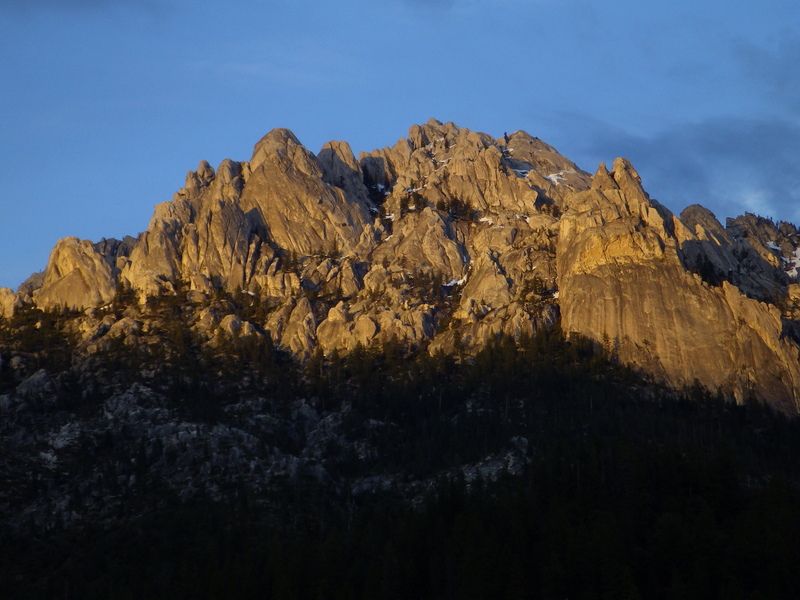 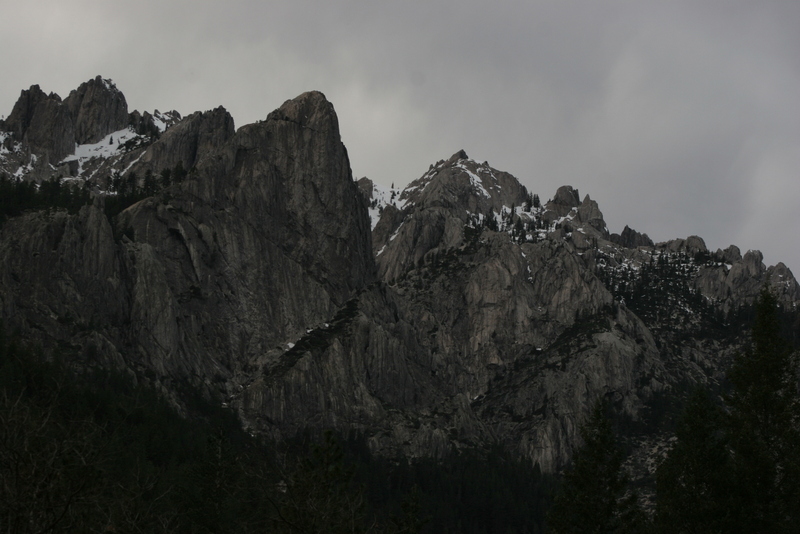 Drive west of state park on Forest Road 25 for additional views of Castle Crags. 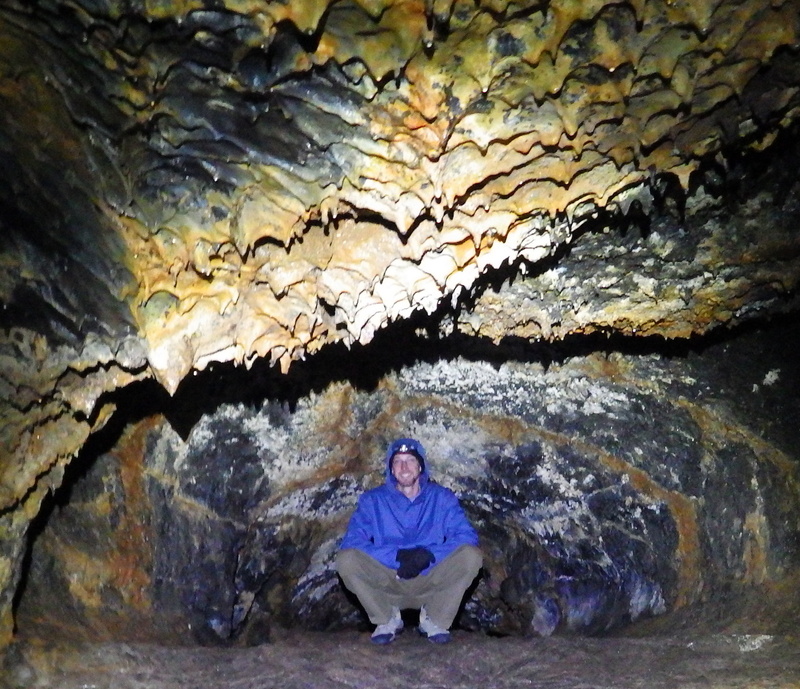 Description: Complex cave system with multiple layers. 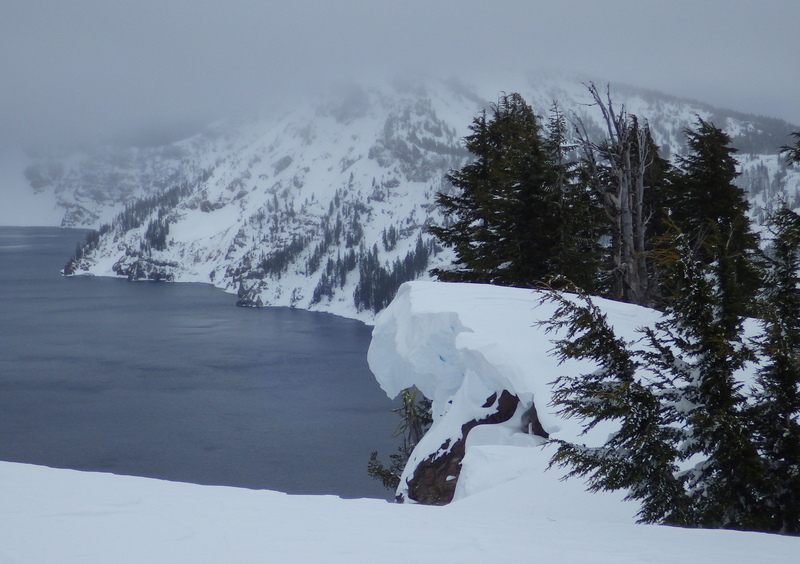 A 2-mile loop route can be completed which requires extensive duck walking and multiple areas of crawling with one-foot high ceilings. 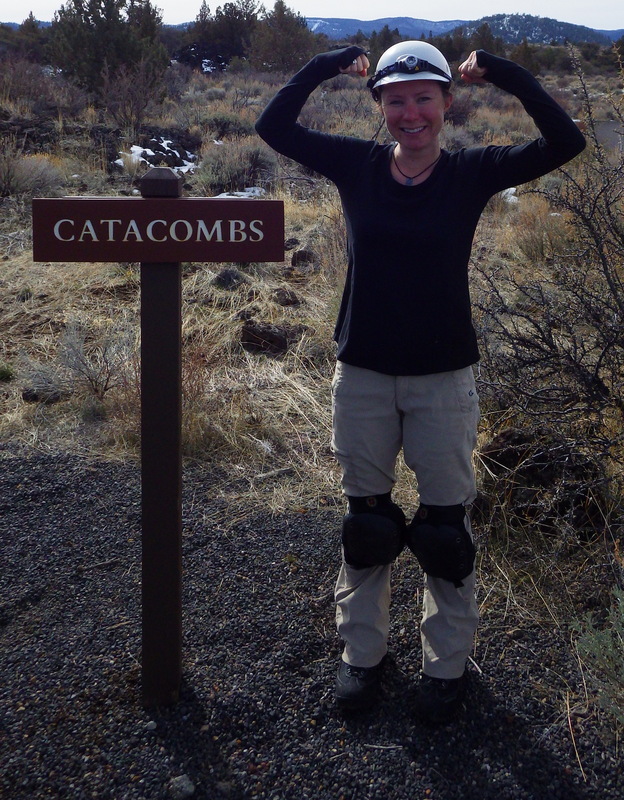 Bump cap and knee pads required past first 800 feet. 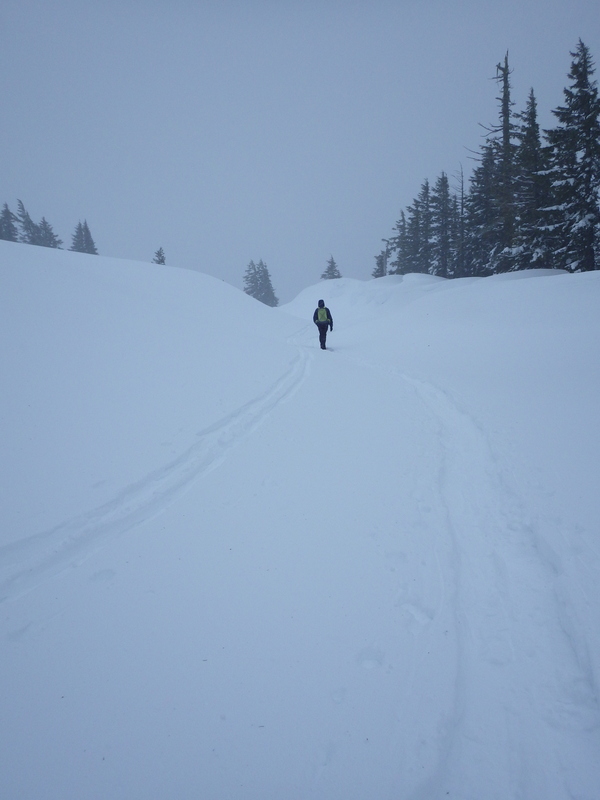 Route is very mentally and physically challenging. 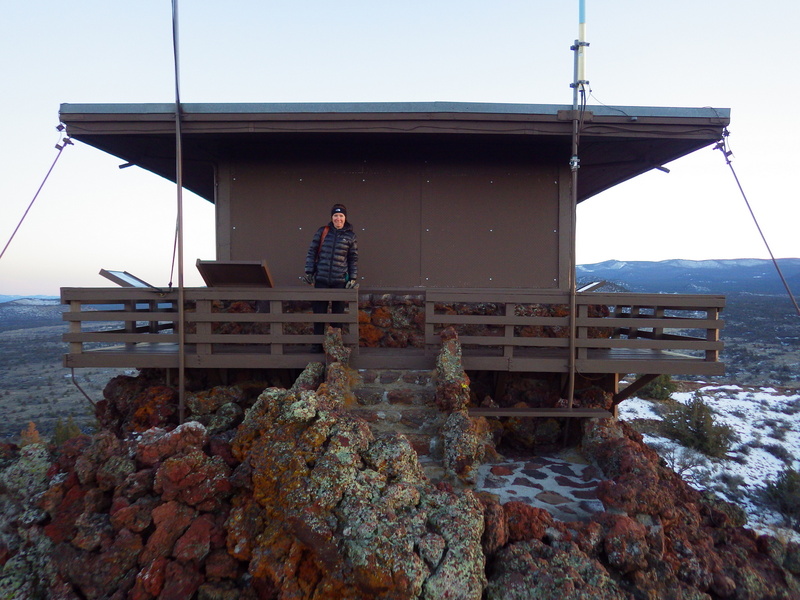 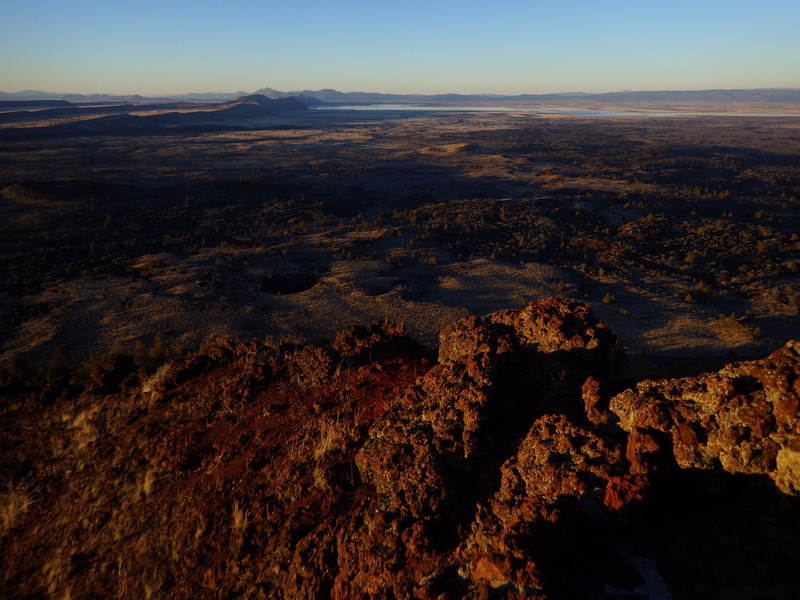 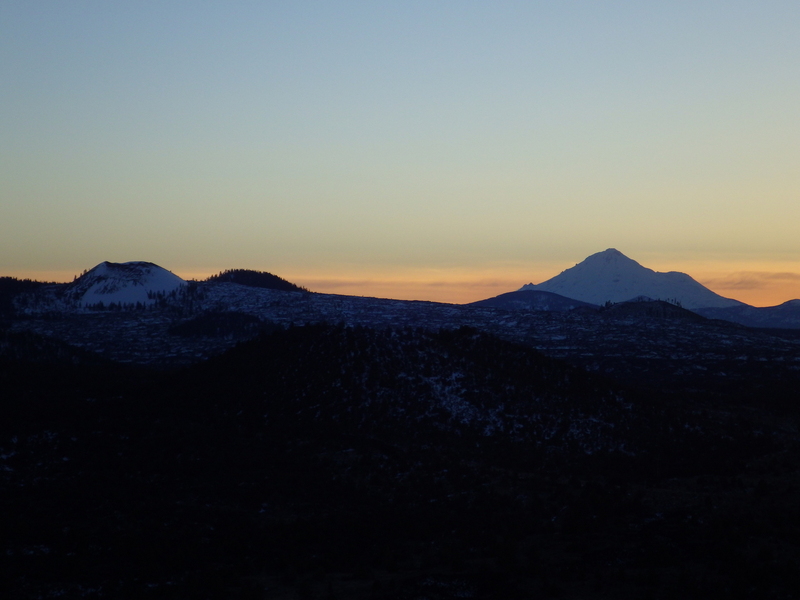 Description: 1.5-mile roundtrip hike to top of butte where a fire lookout offers panoramic views across lava flows to Tule Lake, Glass Mountain, and Mount Shasta. 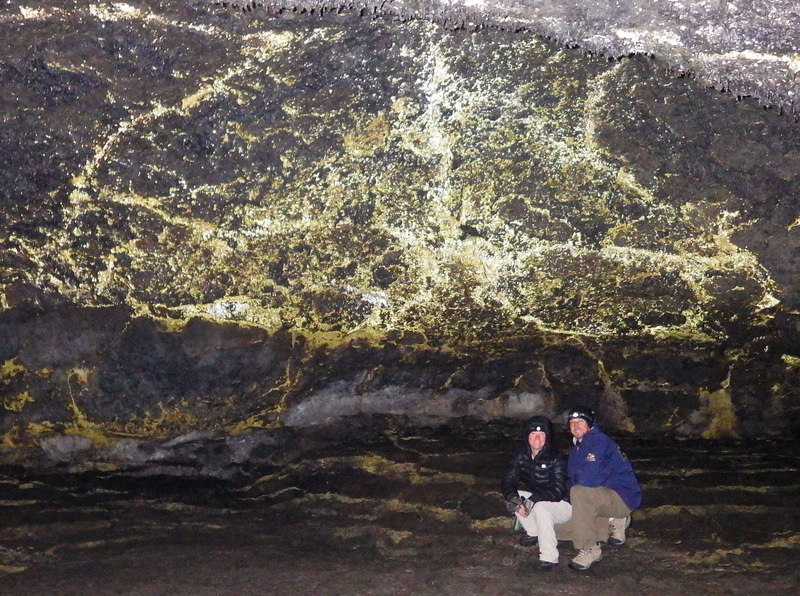 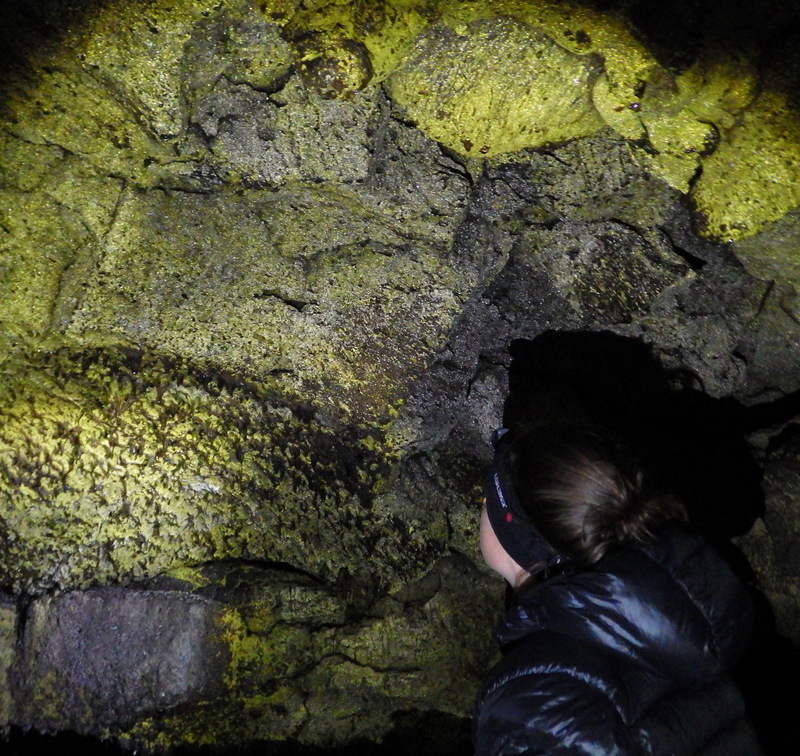 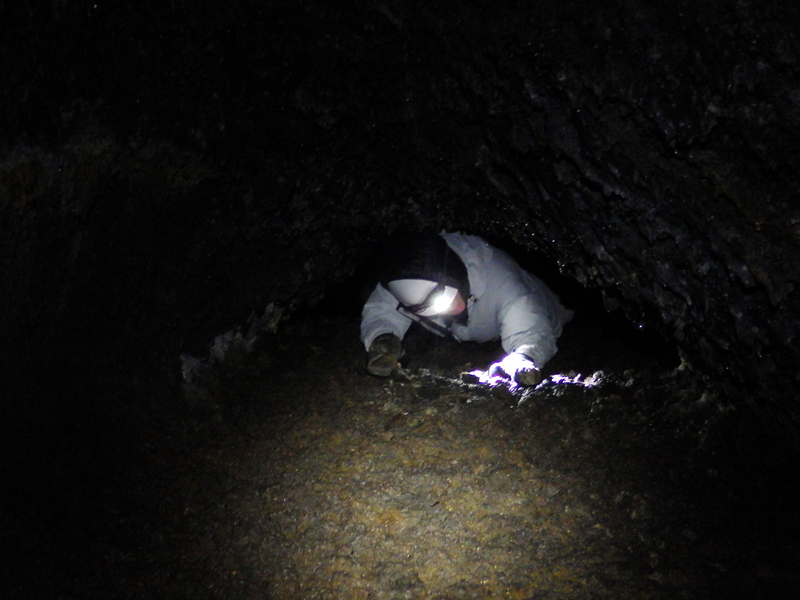 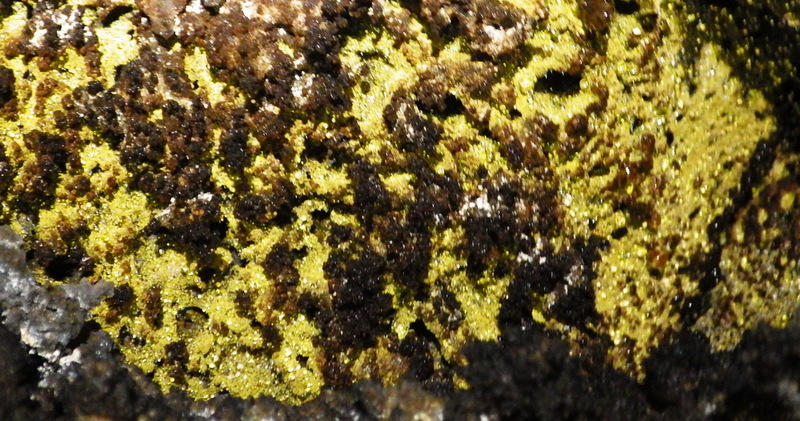 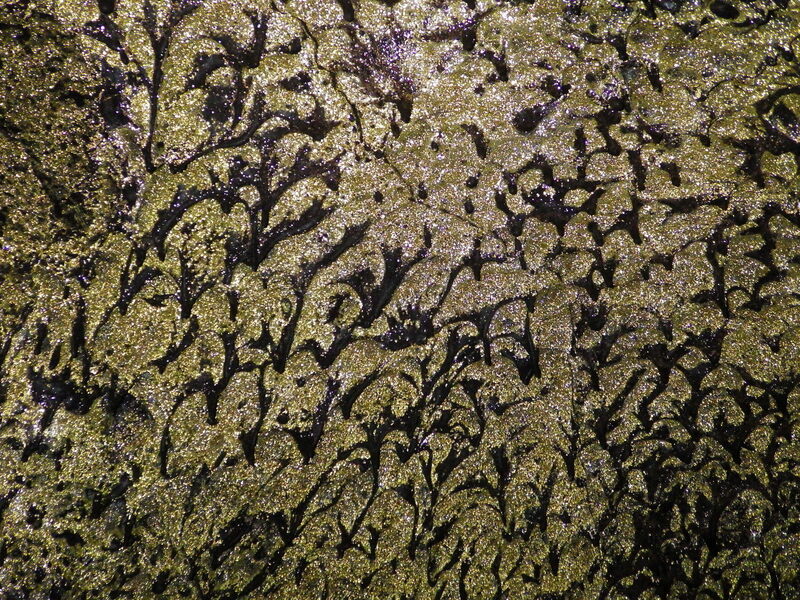 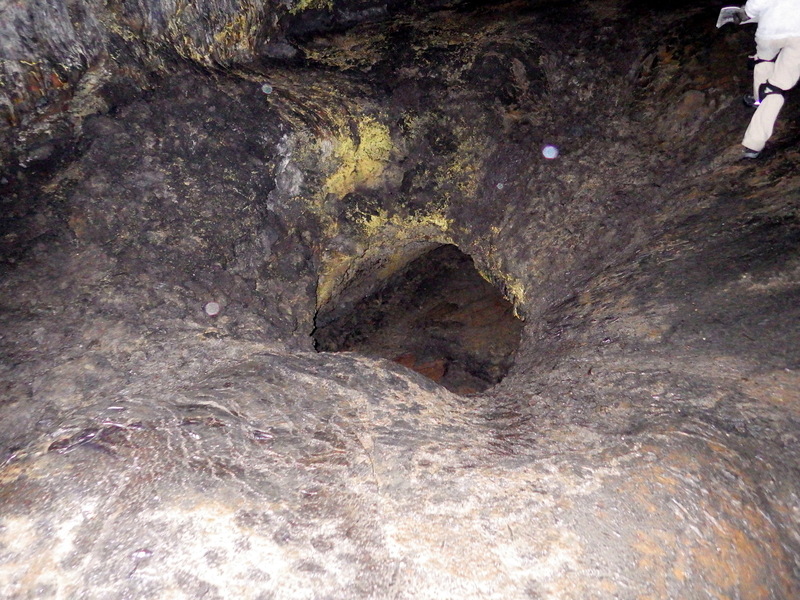 Description: Hydrophobic bacteria shimmer gold and silver in the beam of a flashlight in this prettiest of the lava tubes. 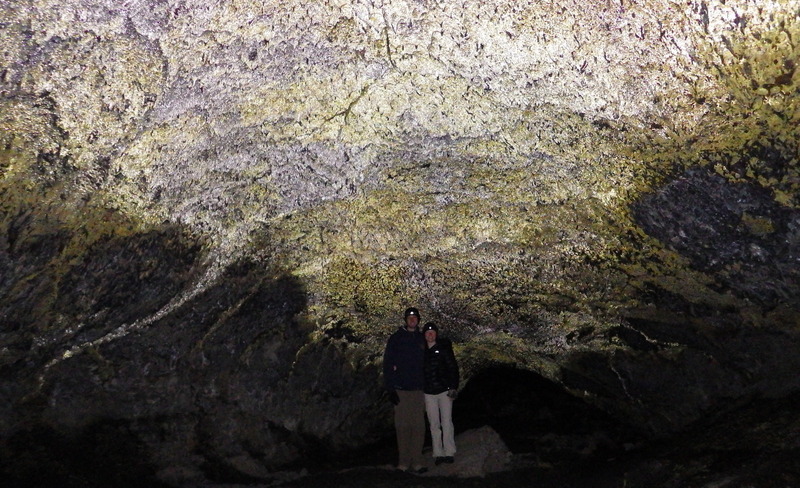 Many other caves contain them including Thunderbolt and Blue Grotto. 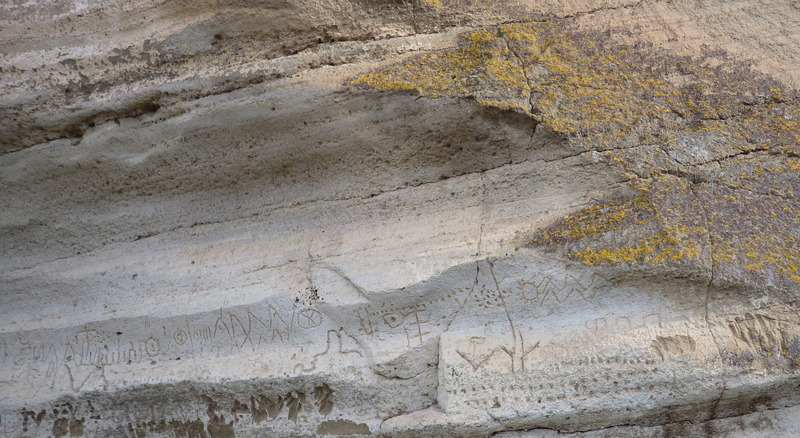 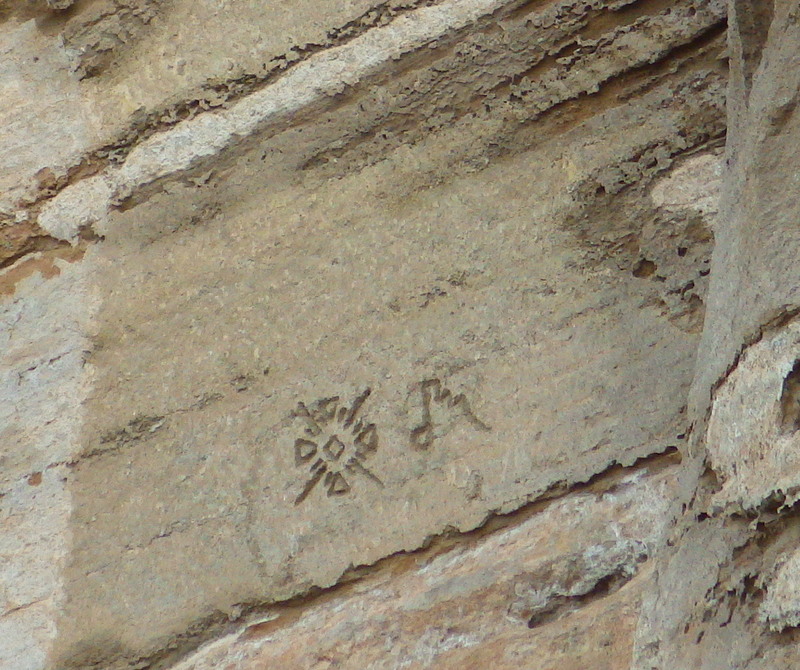 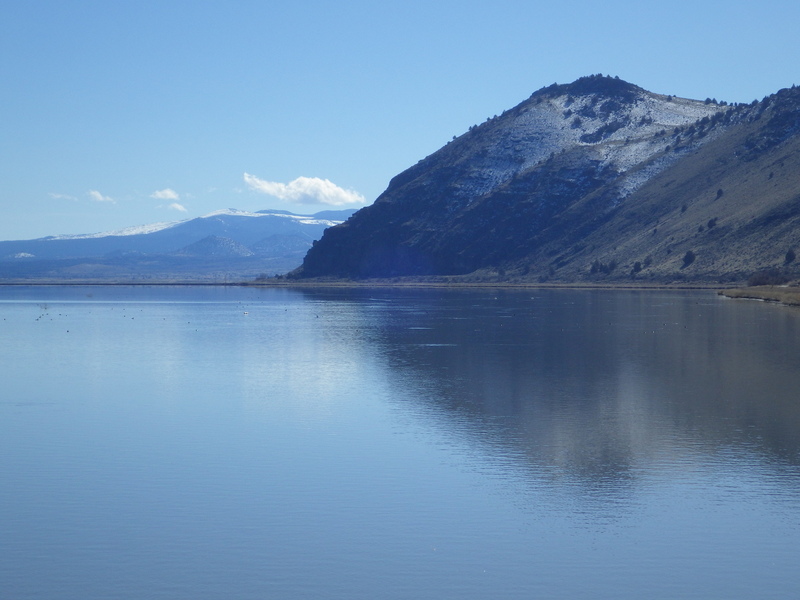 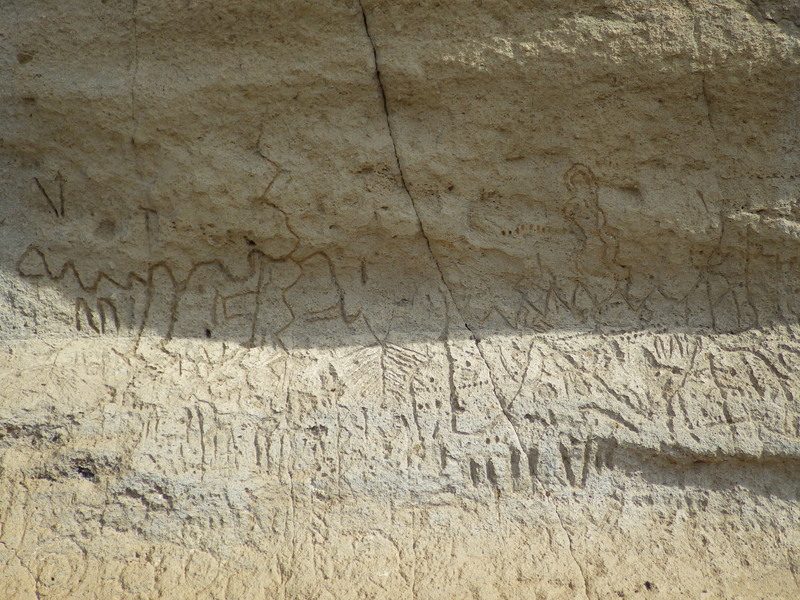 Description: Numerous petroglyphs dating primarily from 4,500 to 2,500 years ago when Tule Lake was high enough that carvers had to access the cliff by boat. 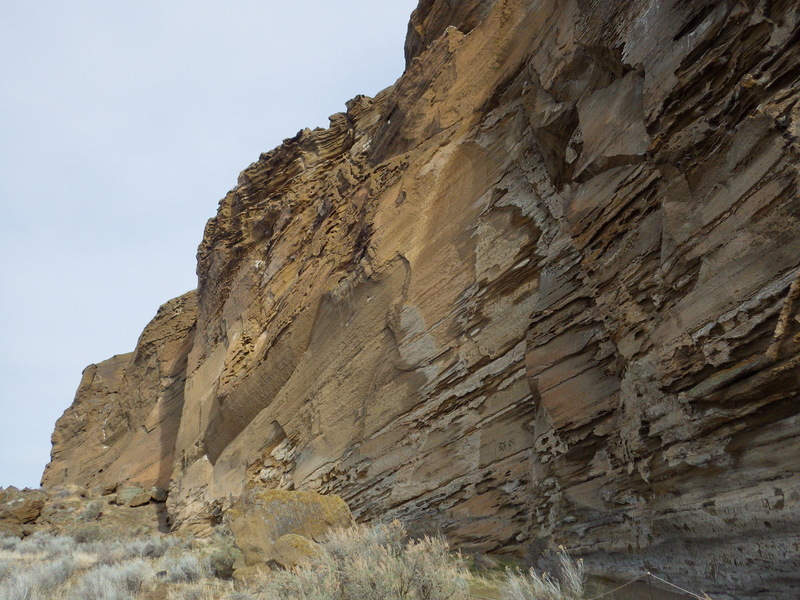 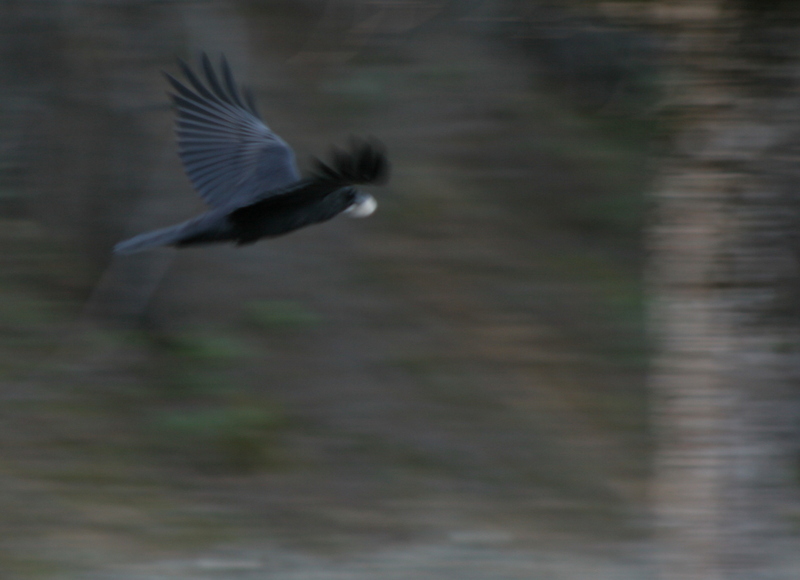 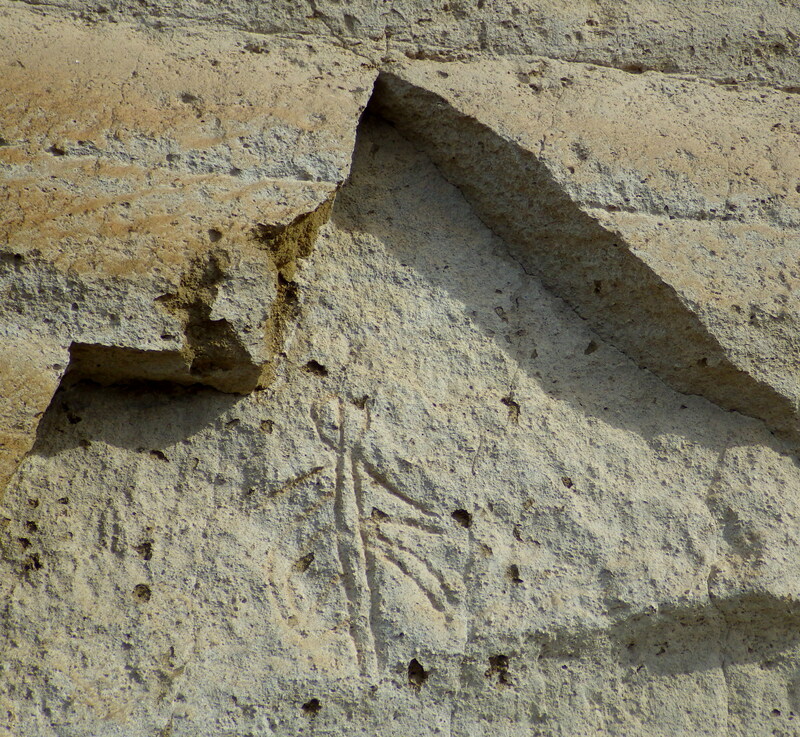 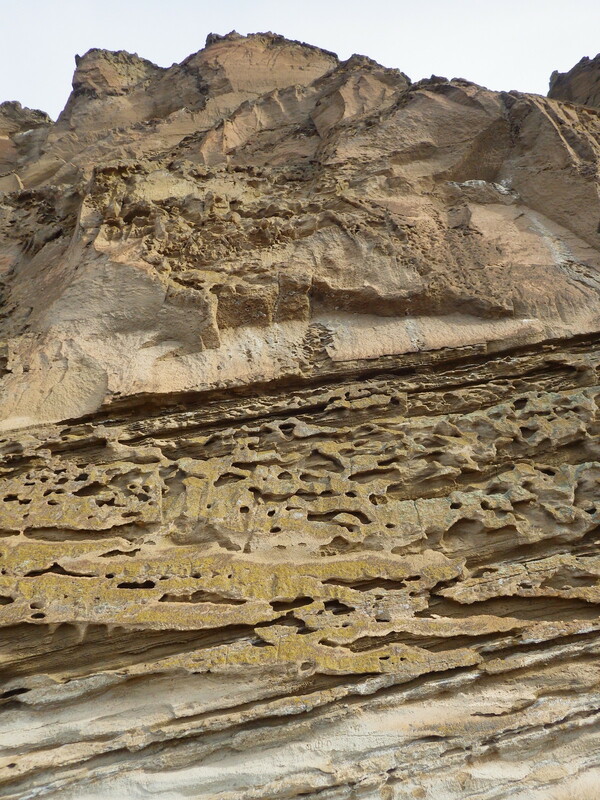 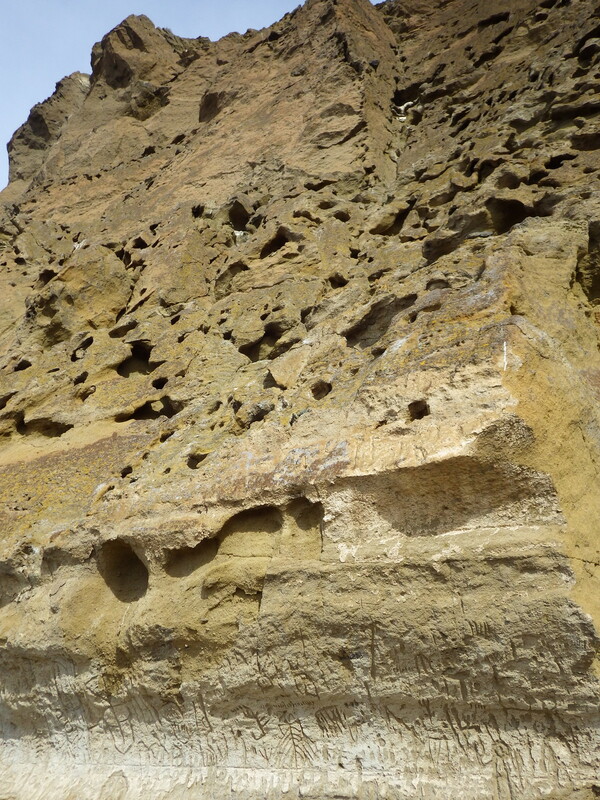 Holy volcanic tuff cliff face provides many nesting sites for birds. 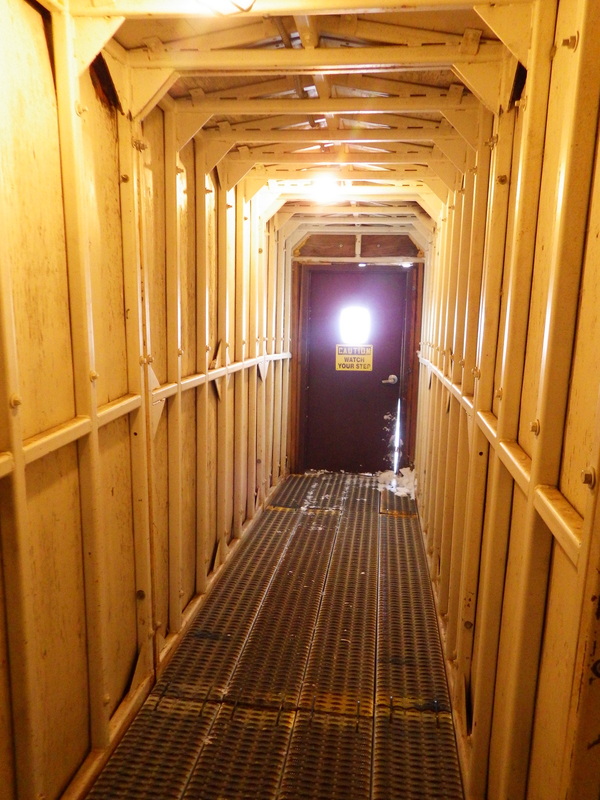 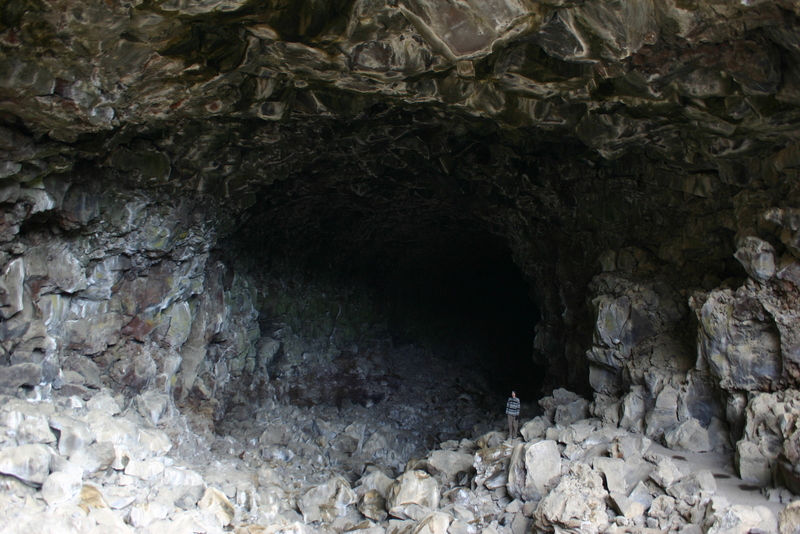 Description: Large cave entrance with high ceilings throughout. 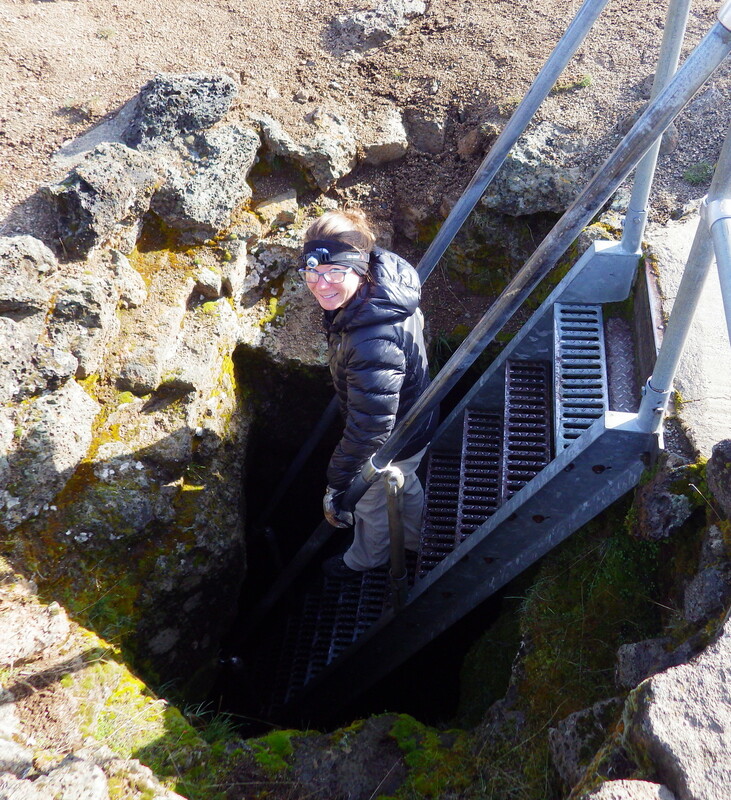 Series of steep stairs take visitors down to year round ice floor formation. 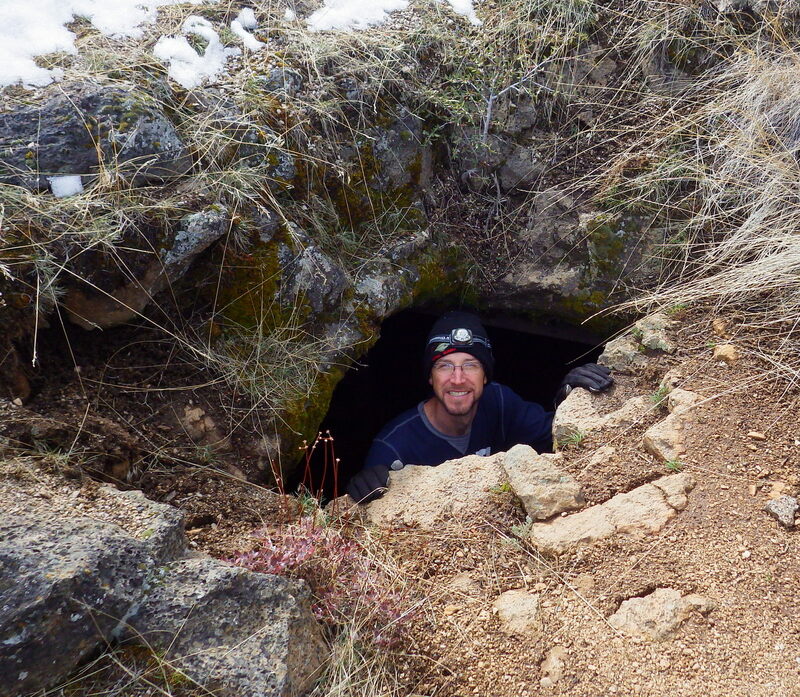 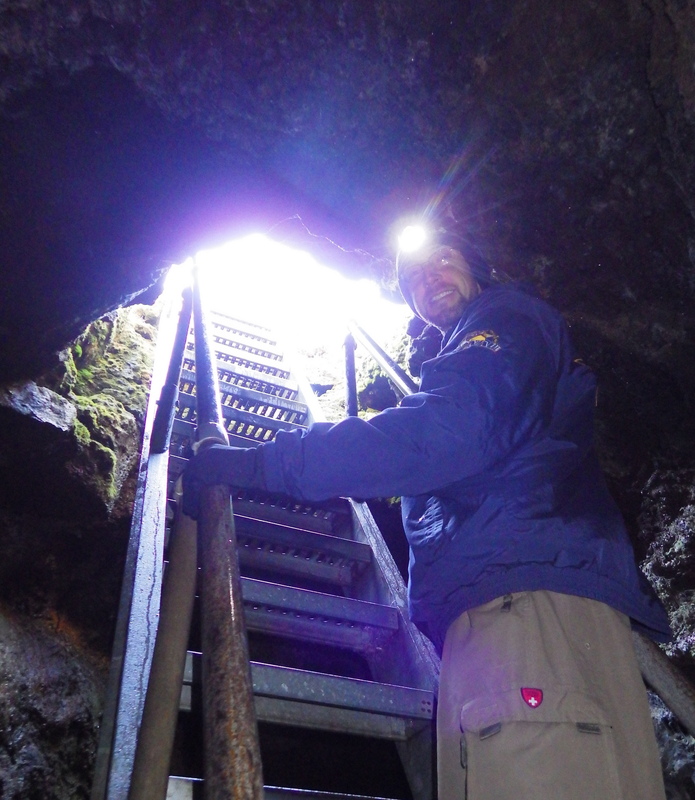 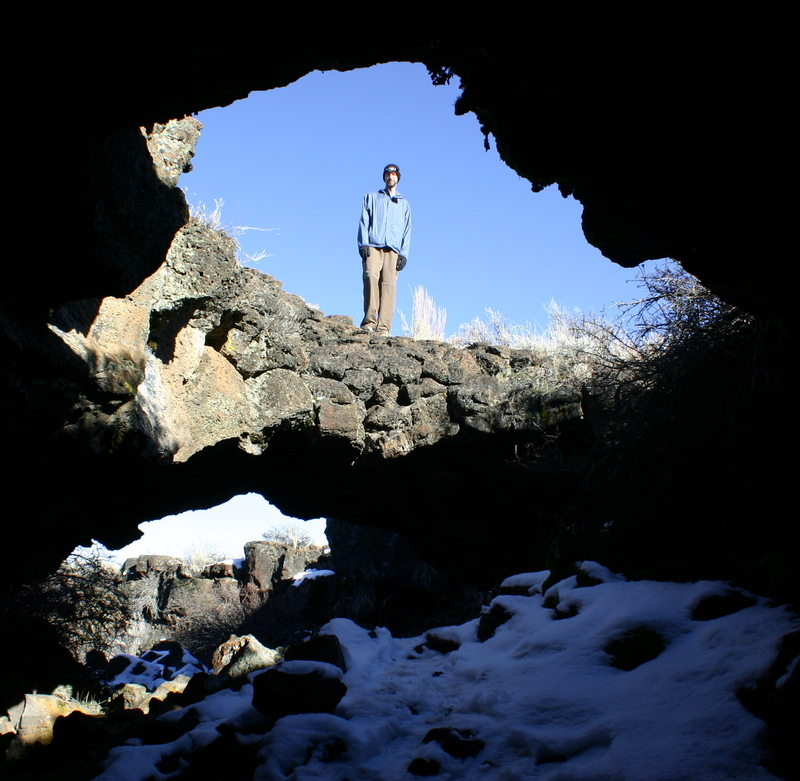 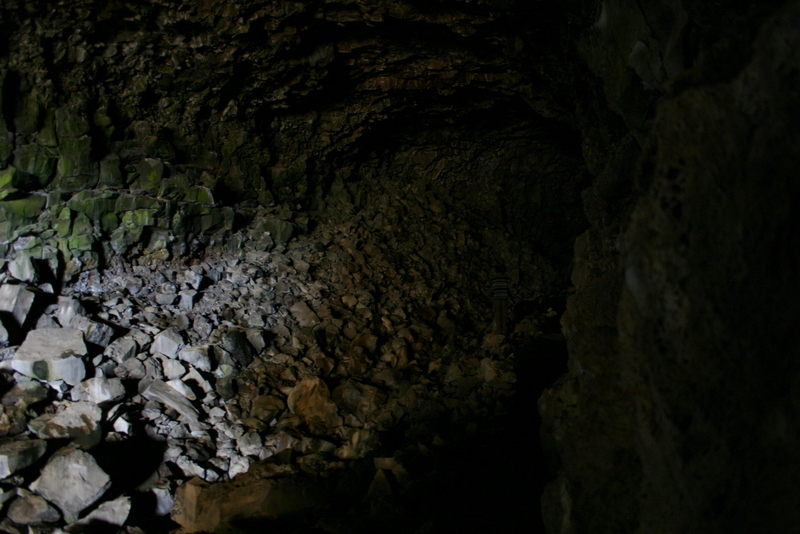 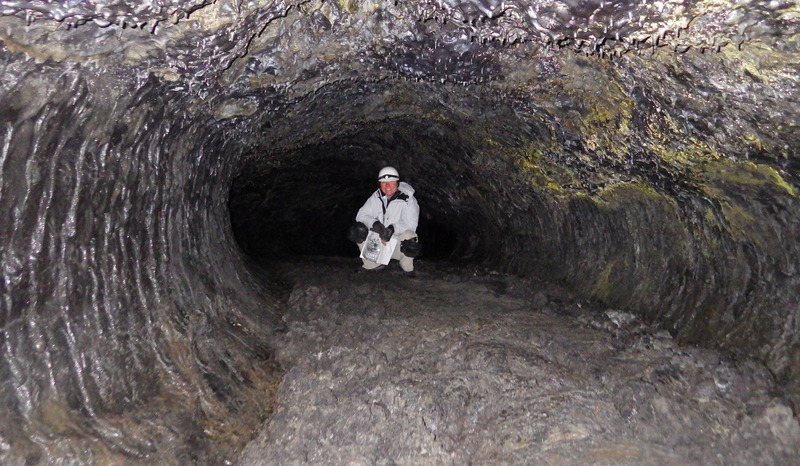 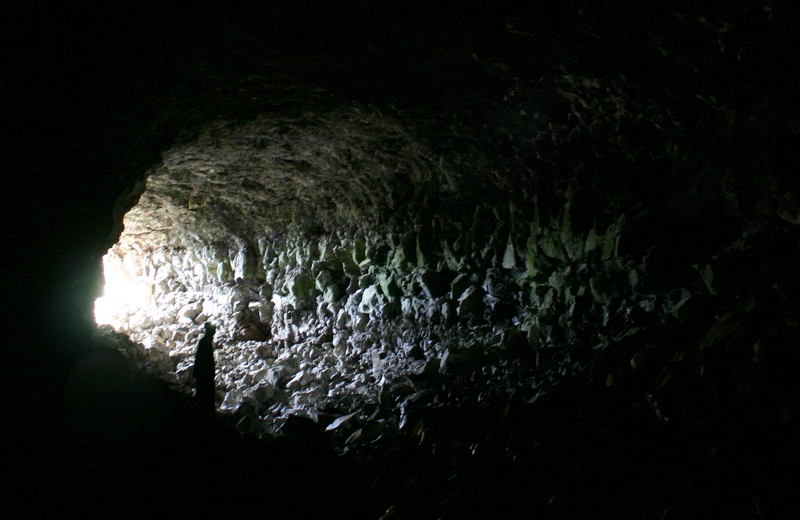 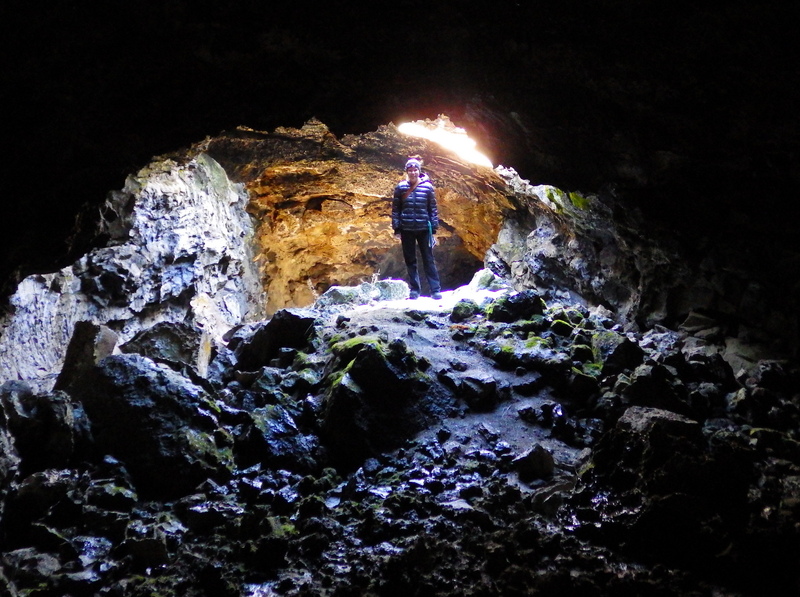 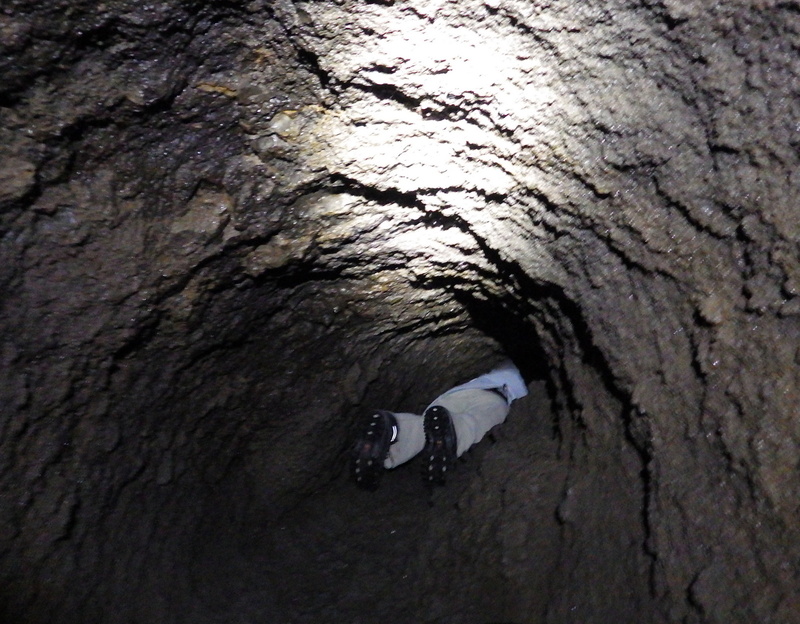 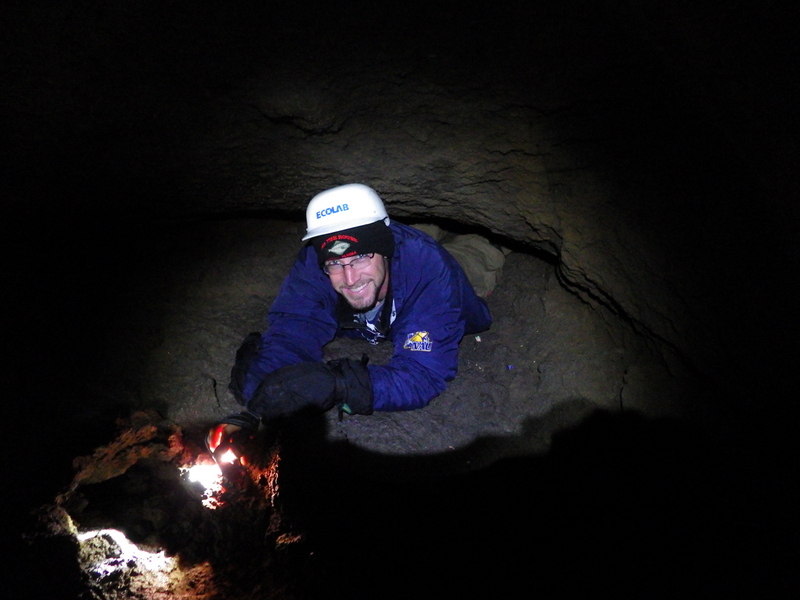 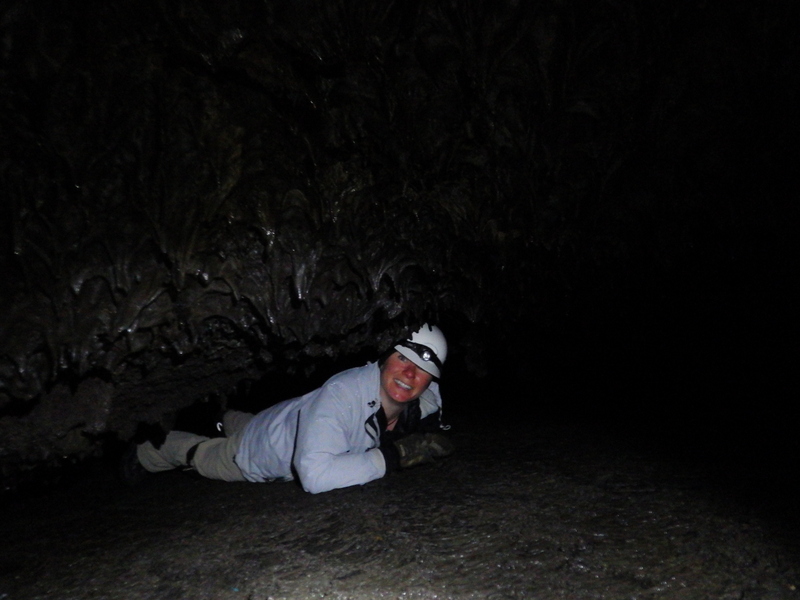 Excellent lava tube for beginners. 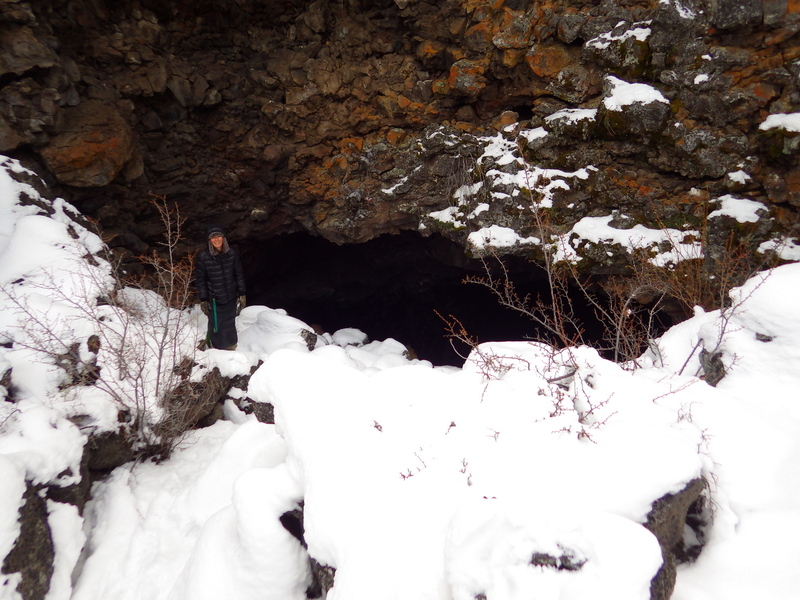 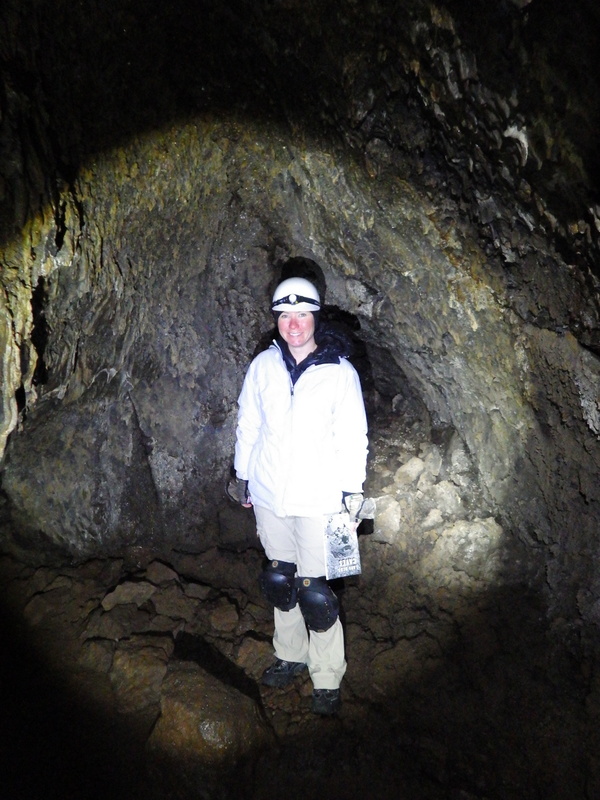 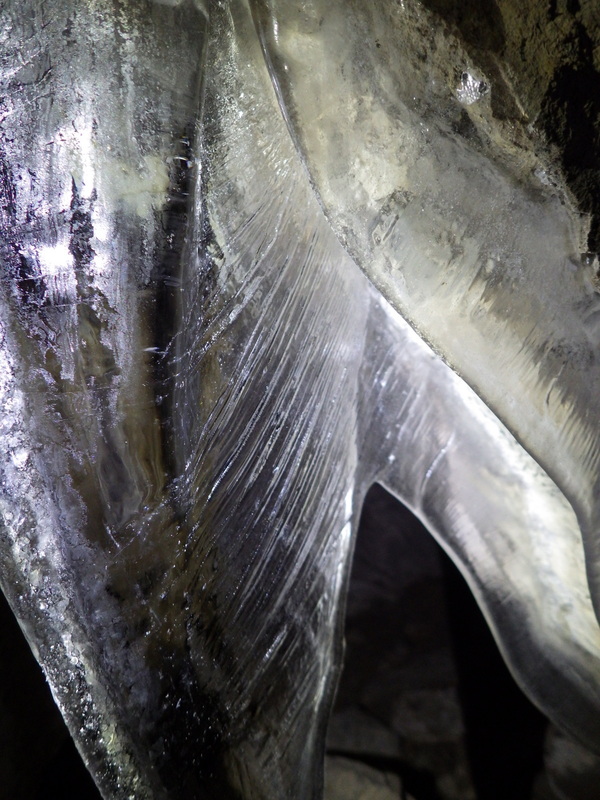 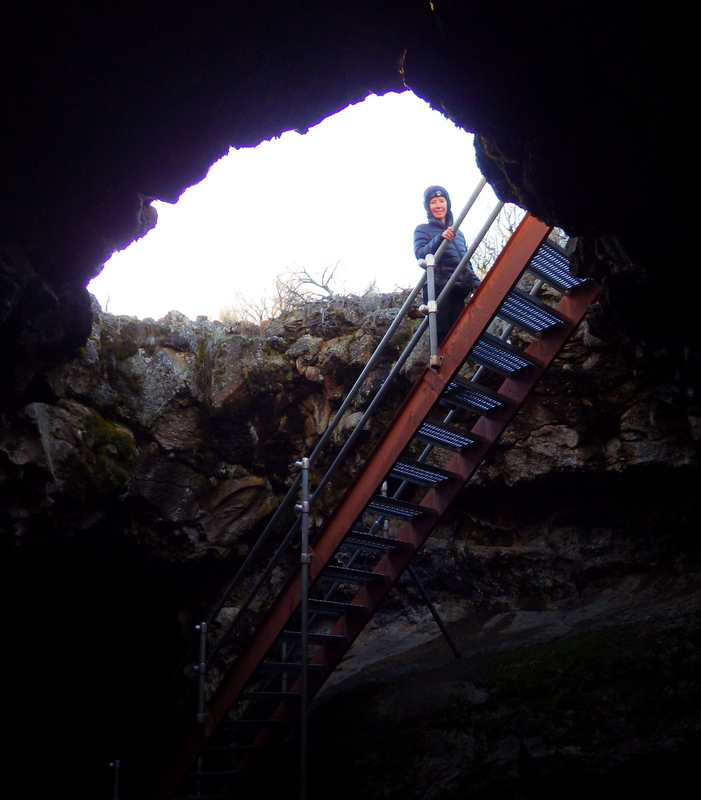 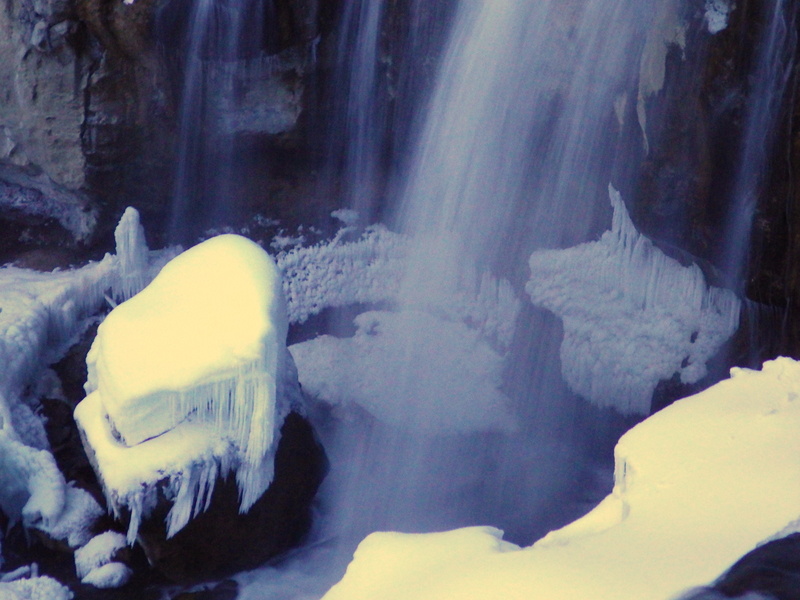 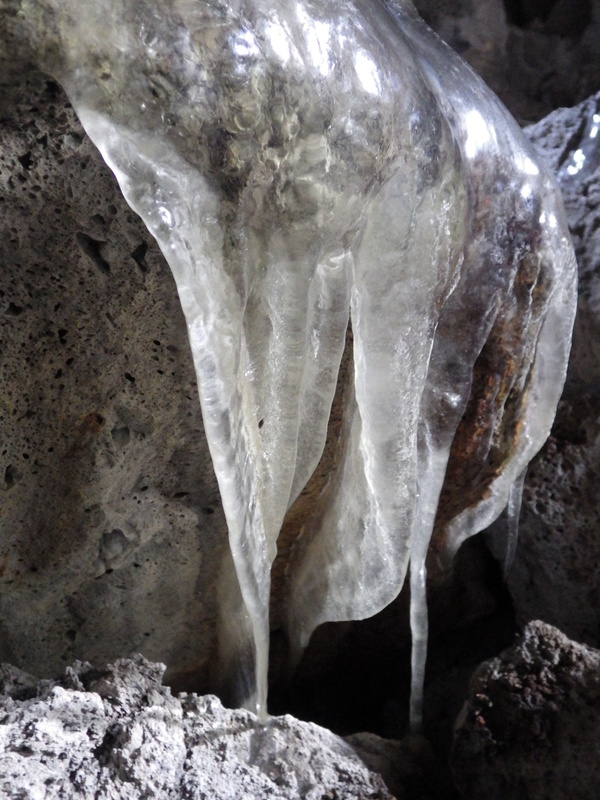 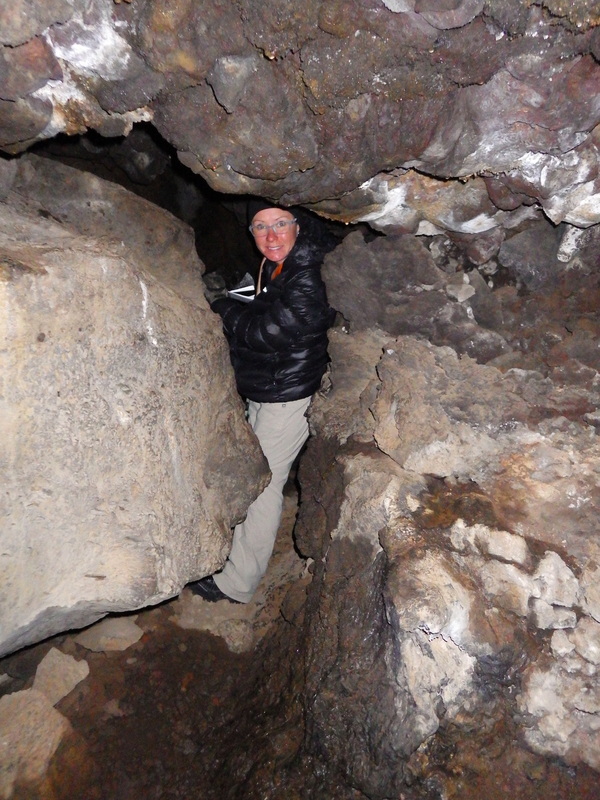 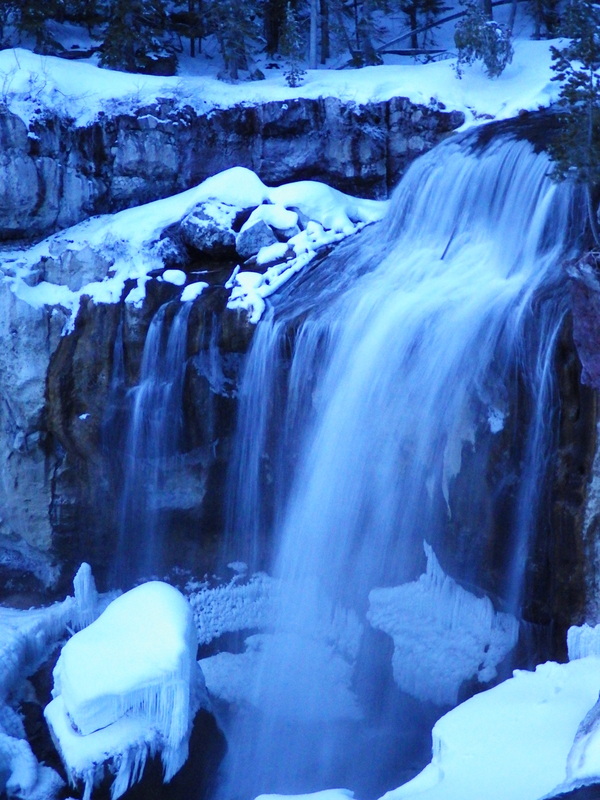 Heppe and Merrill Caves are also places to see ice. 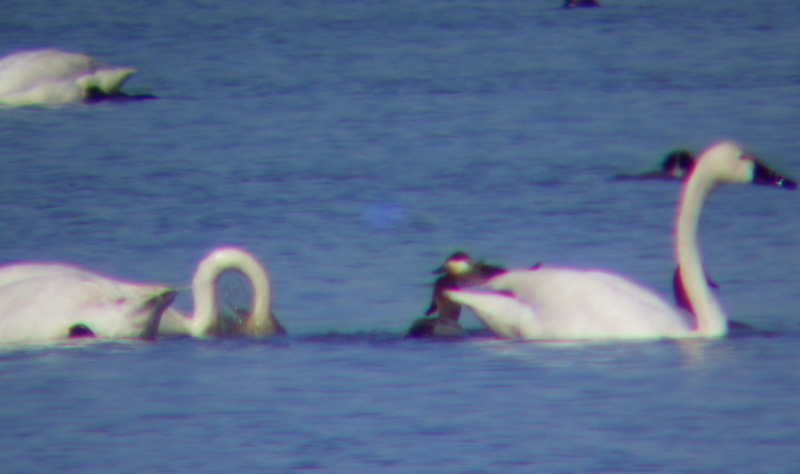 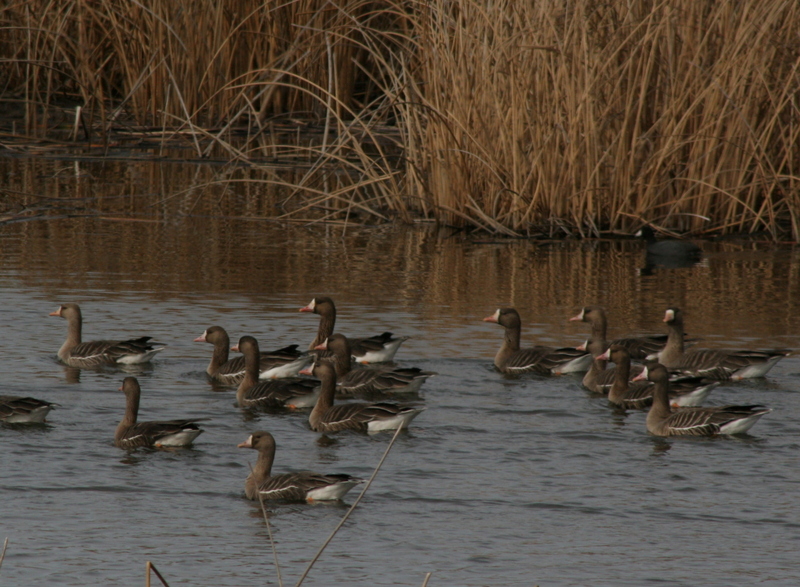 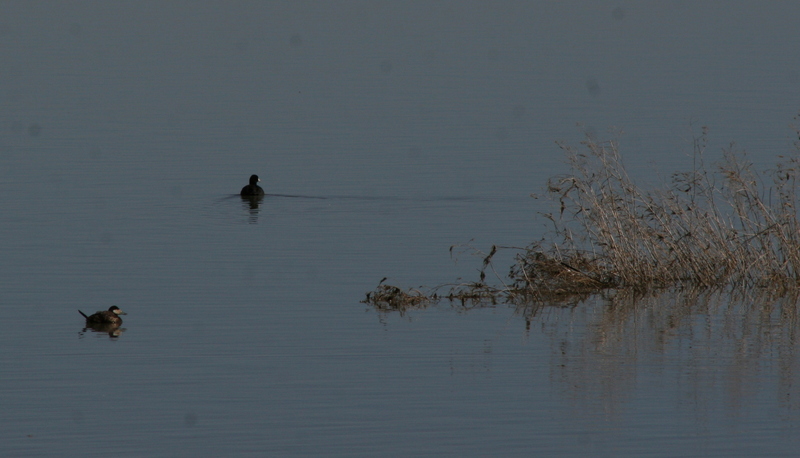 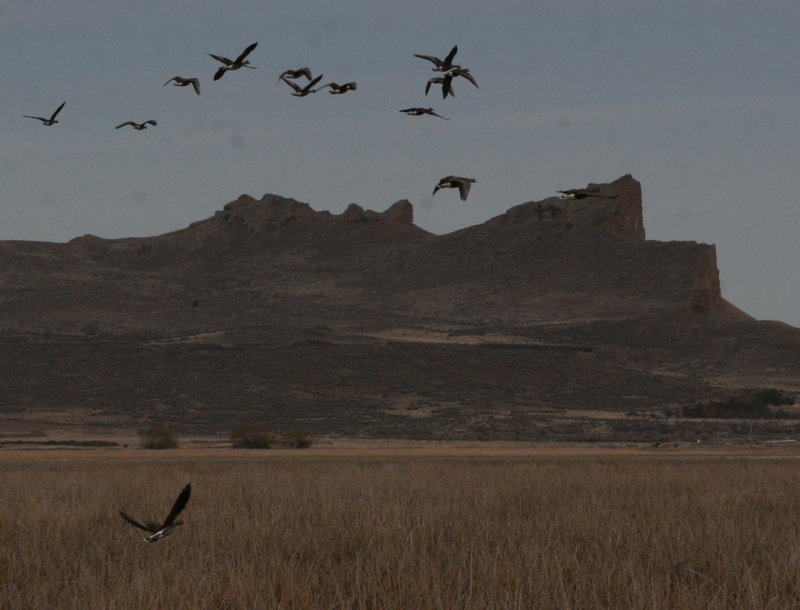 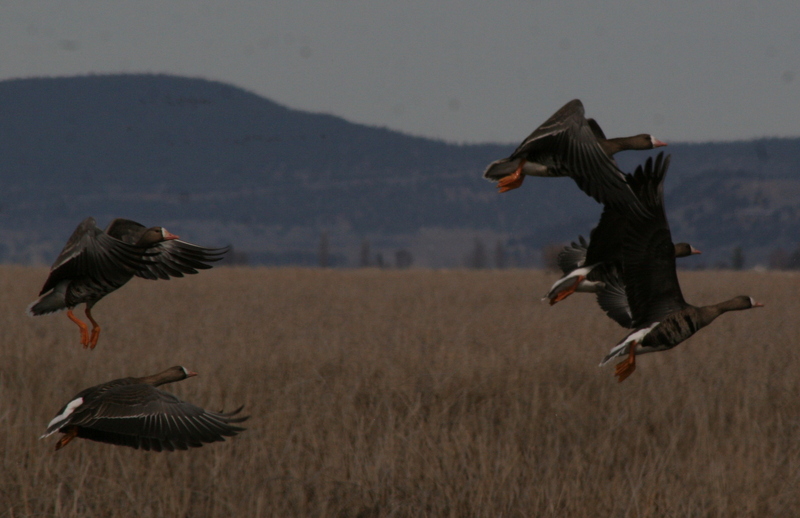 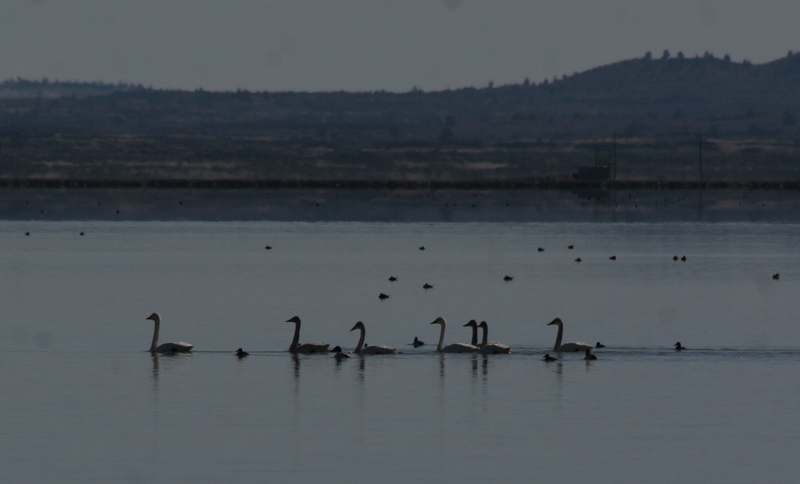 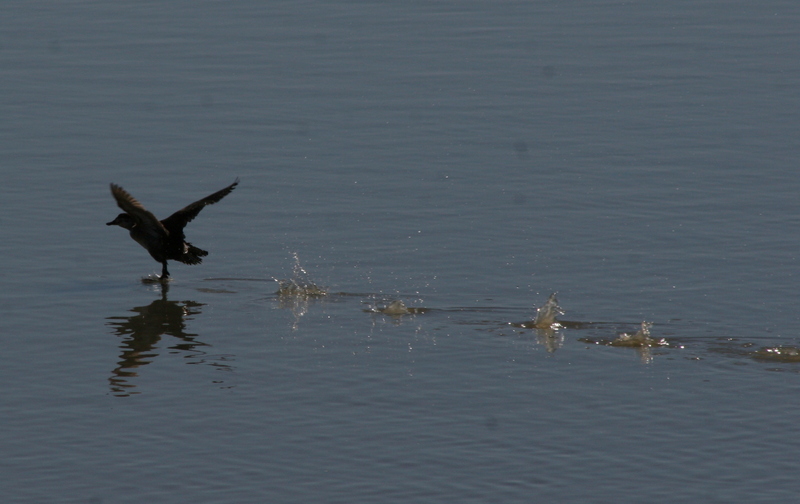 Description: Large shallow lake hosts migratory birds throughout the year. 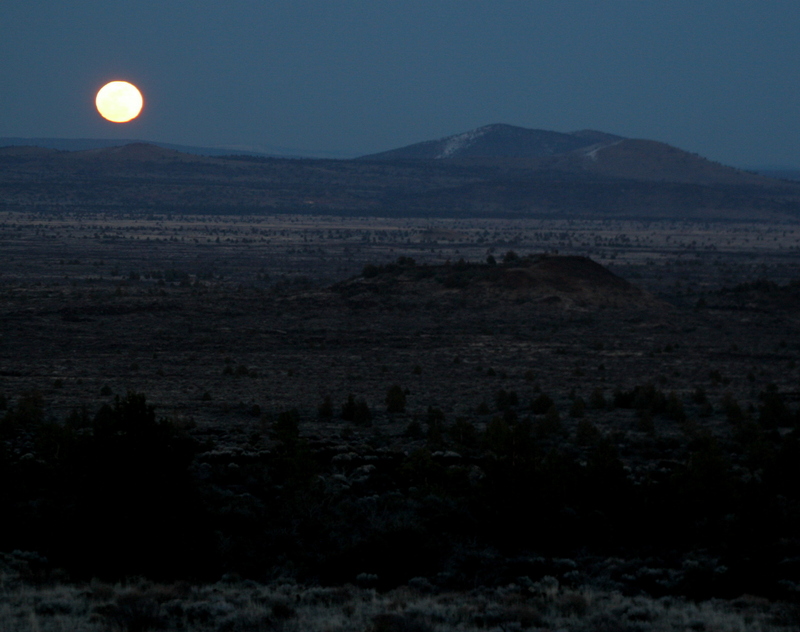 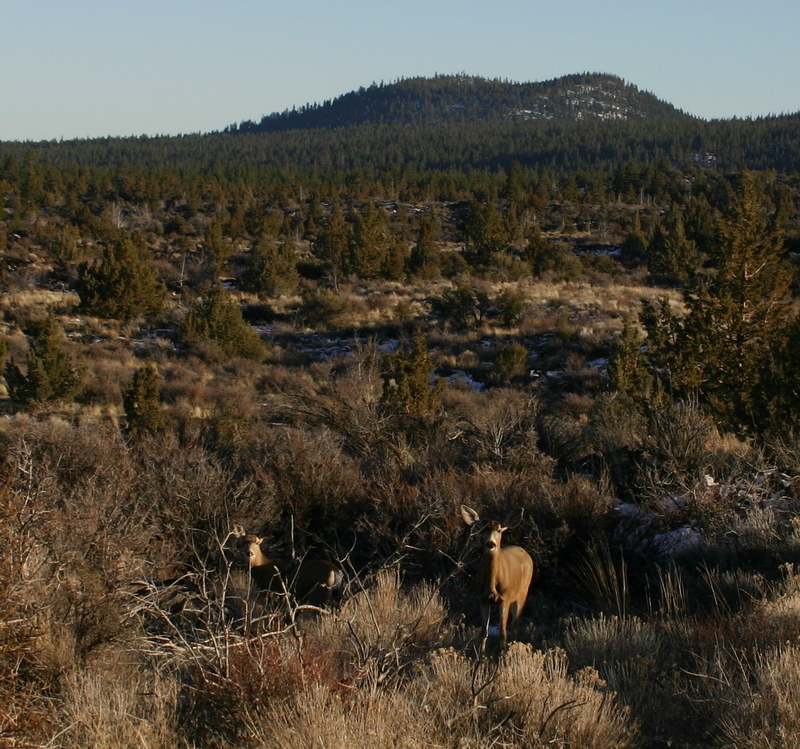 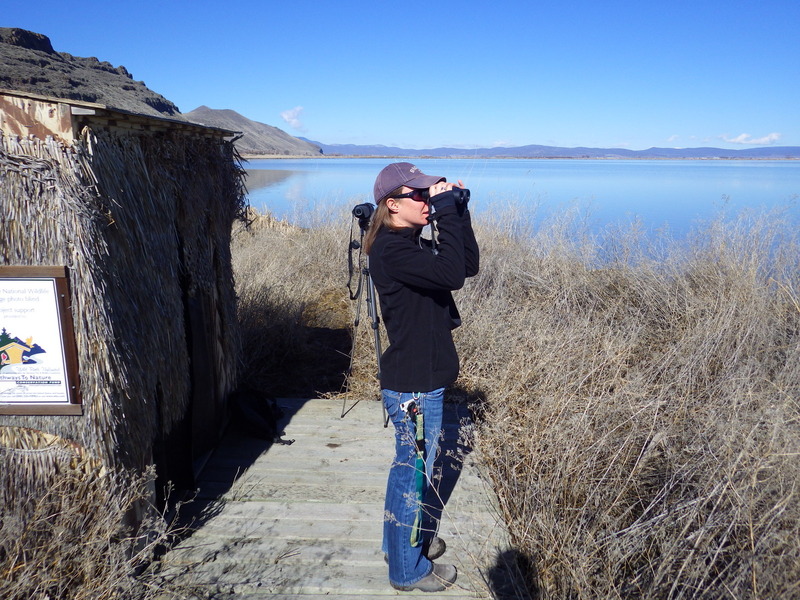 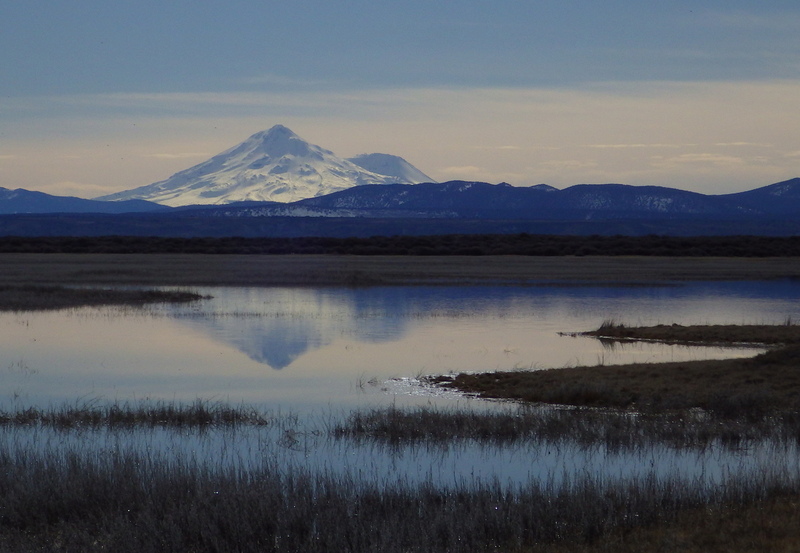 Some photo blinds available along the shore, including en route to Lava Beds National Monument. 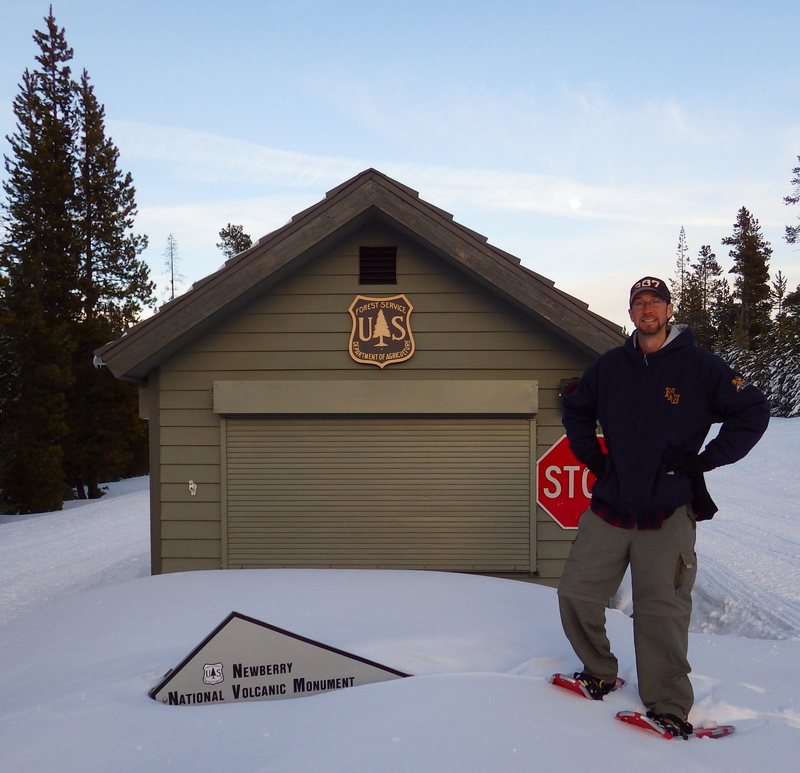 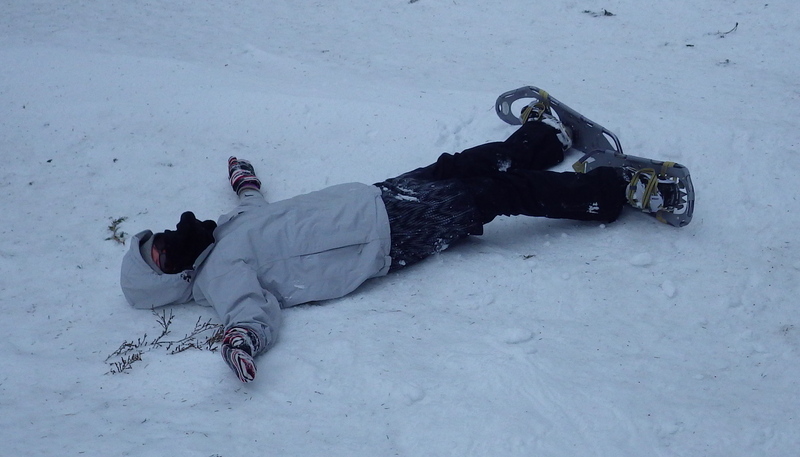 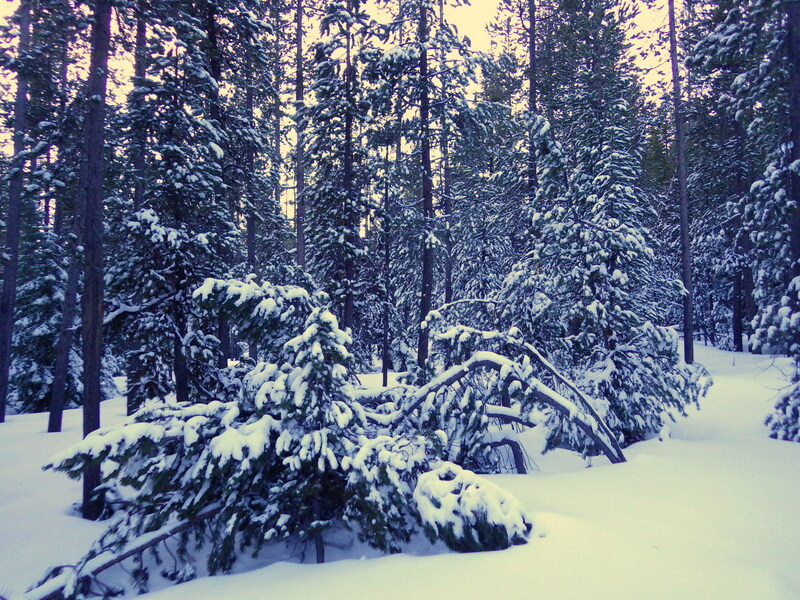 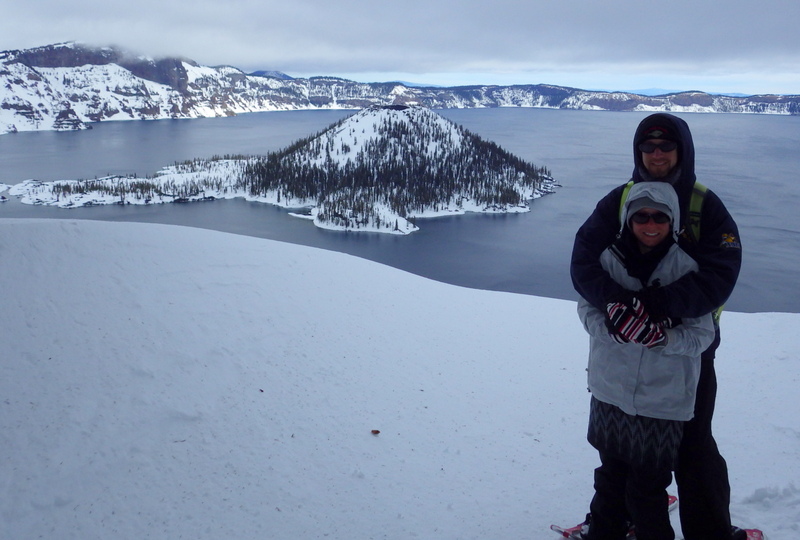 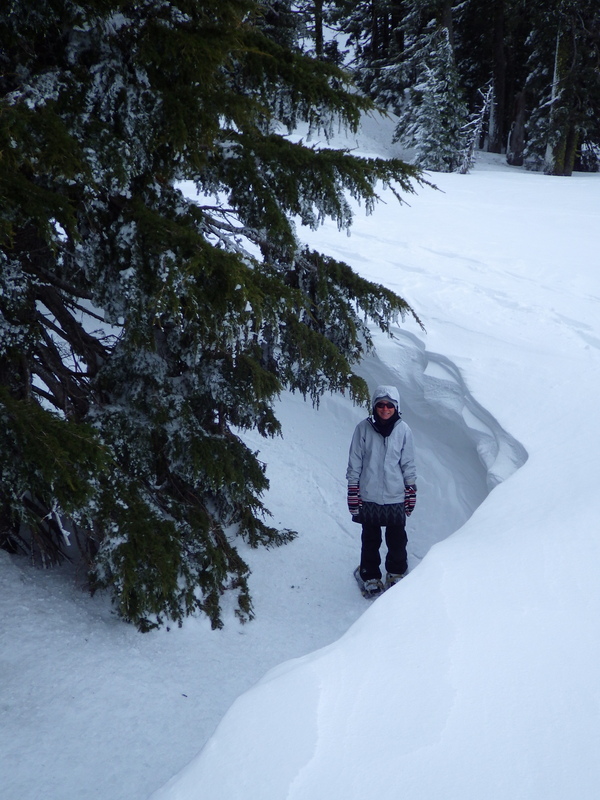 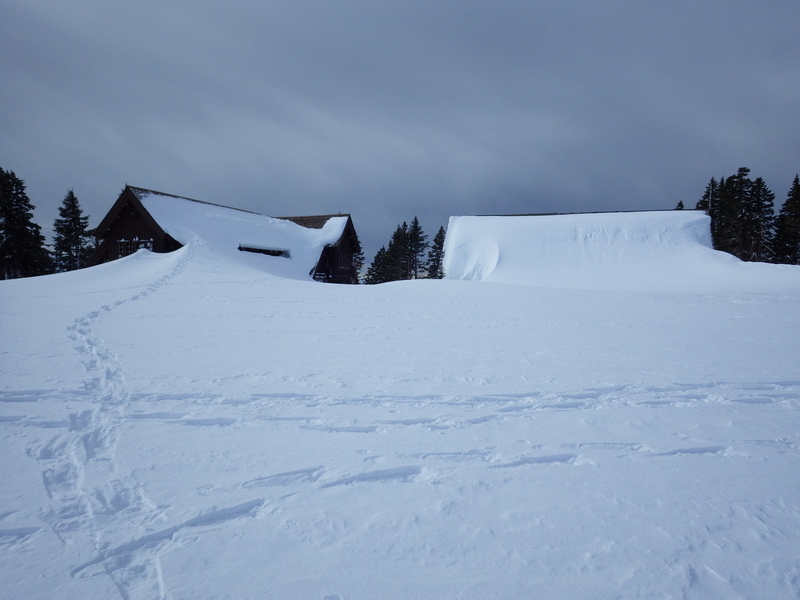 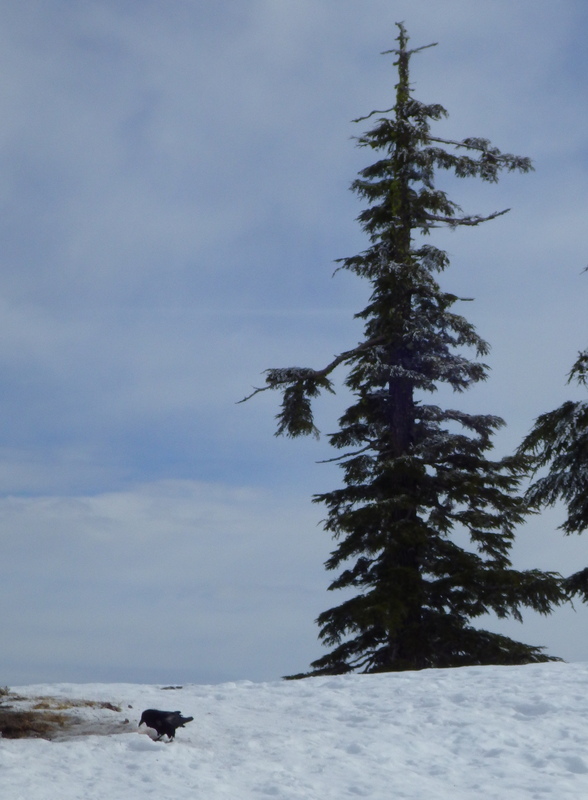 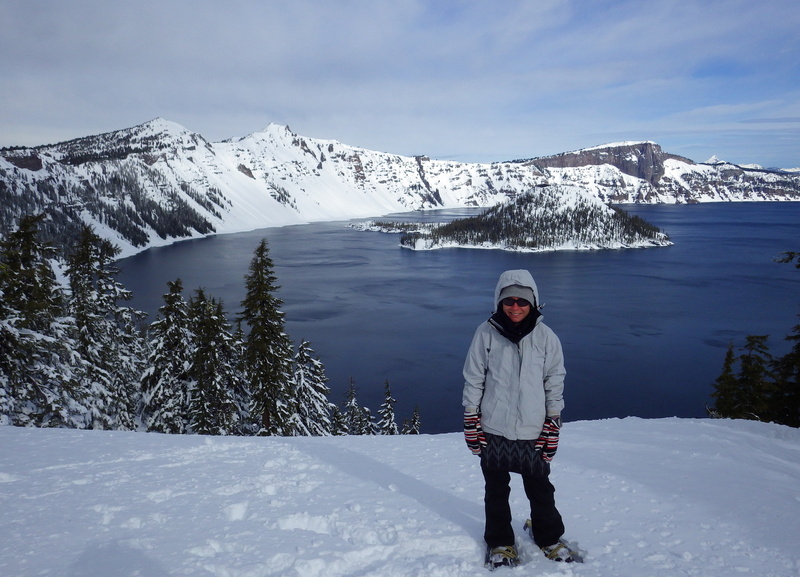 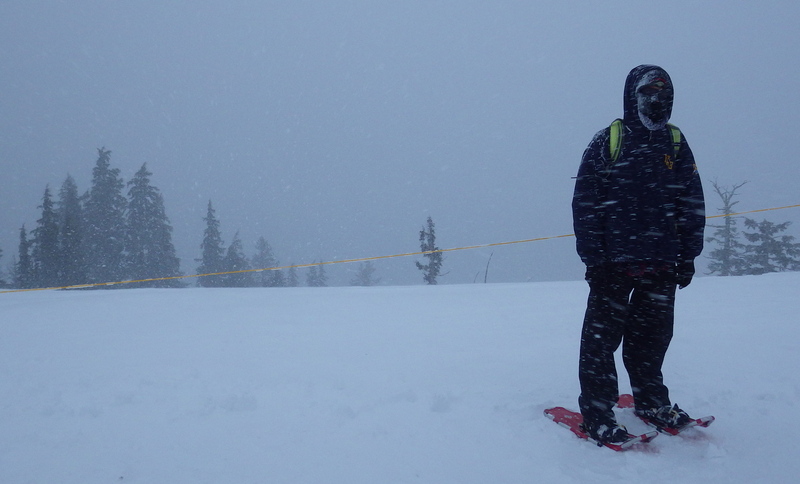 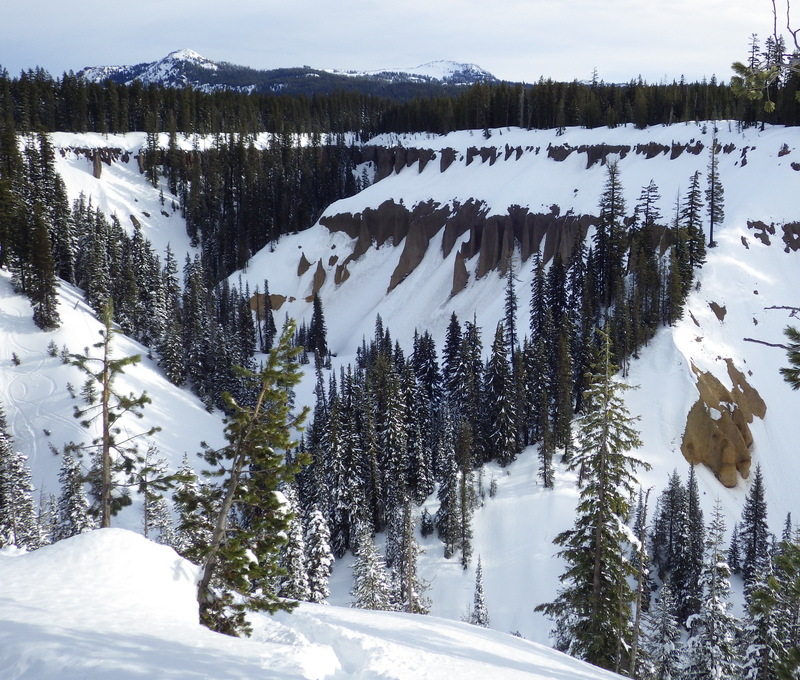 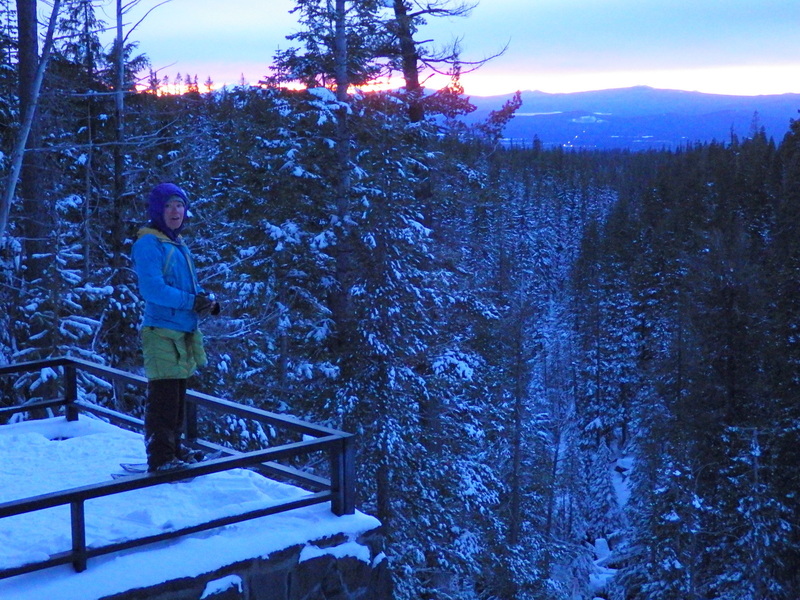 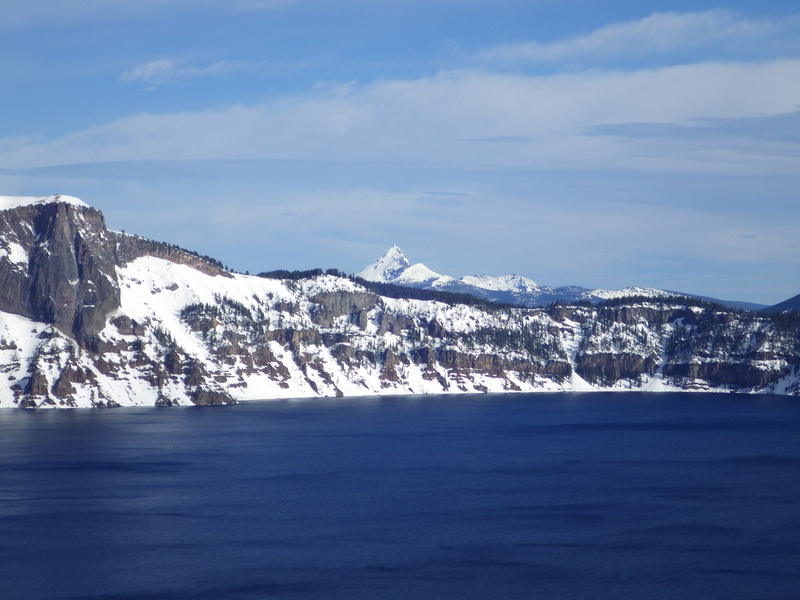 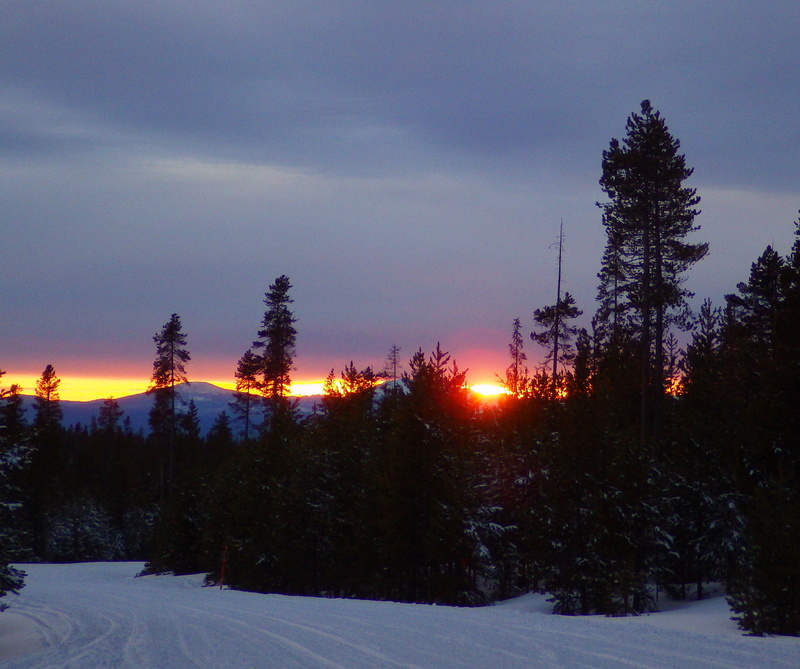 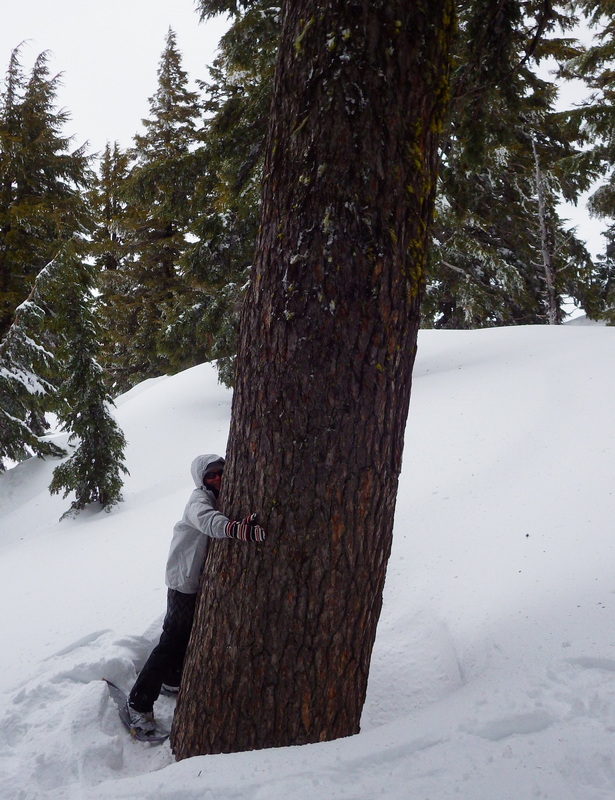 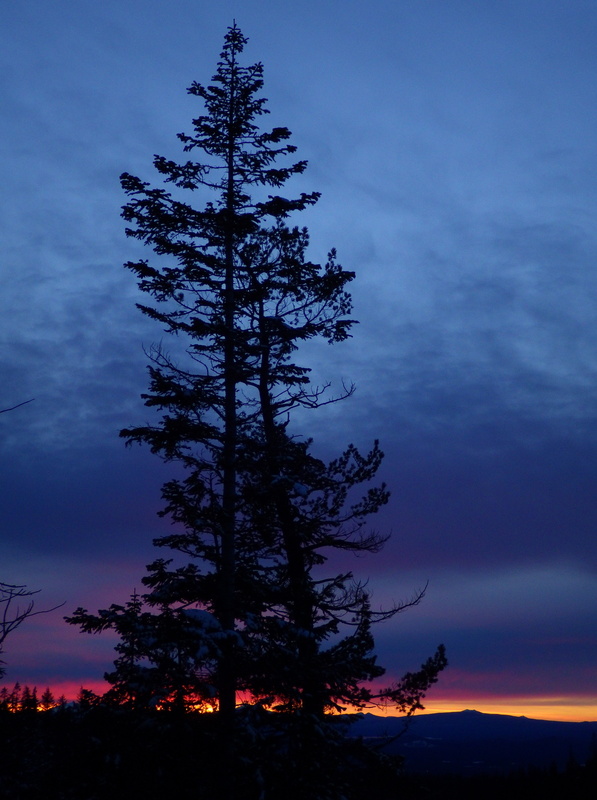 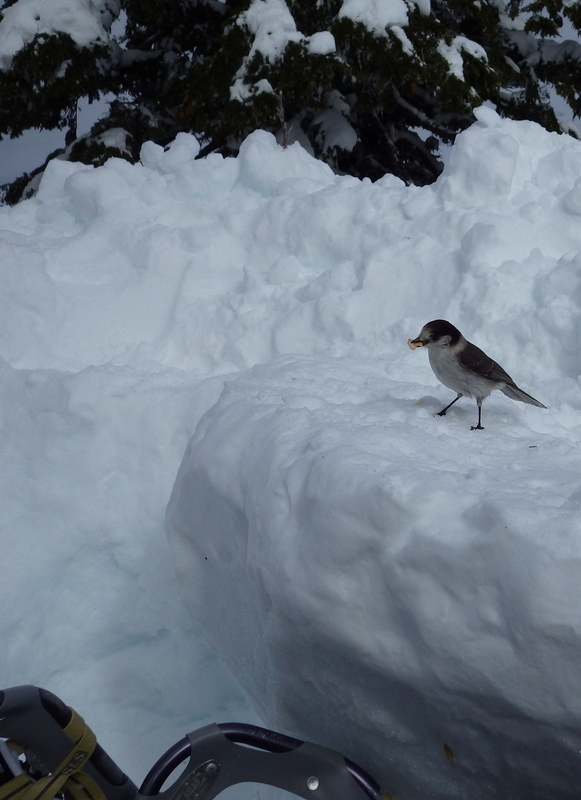 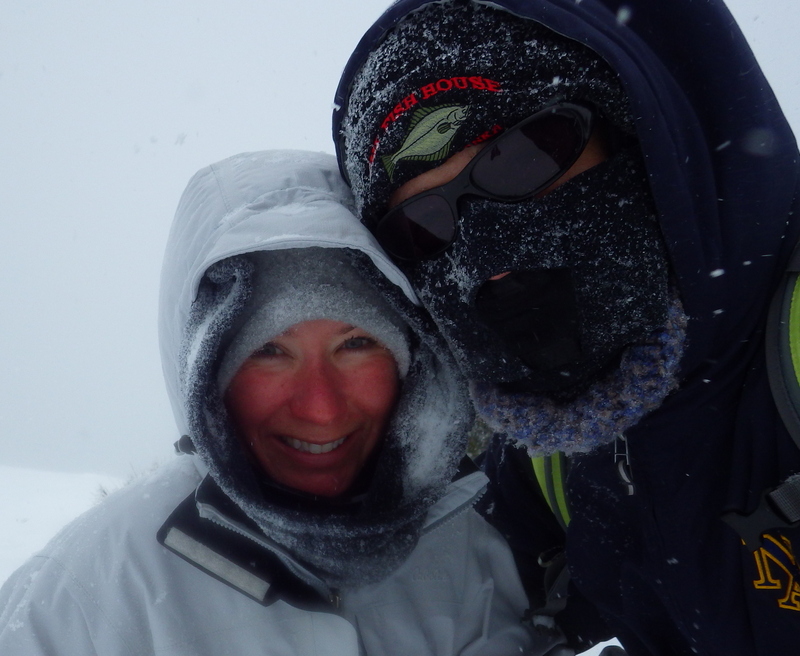 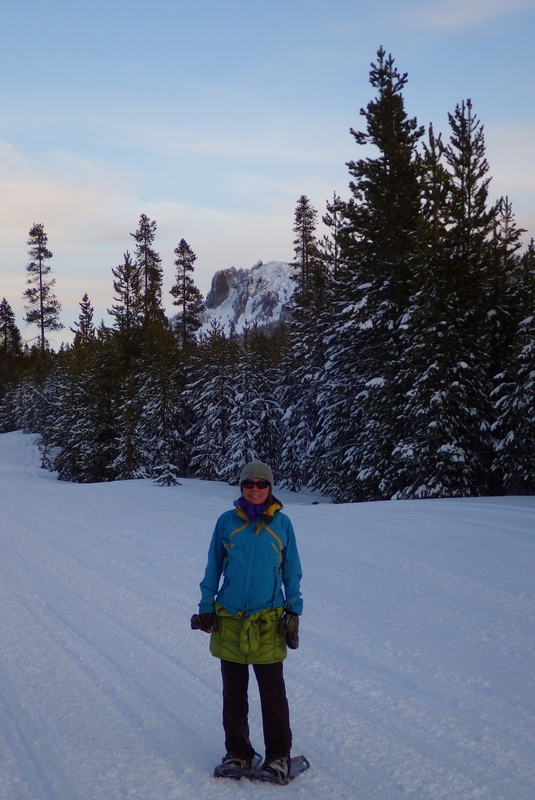 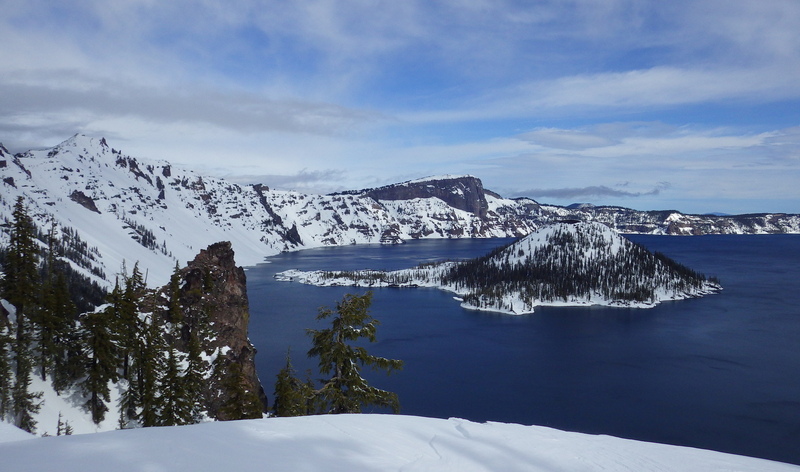 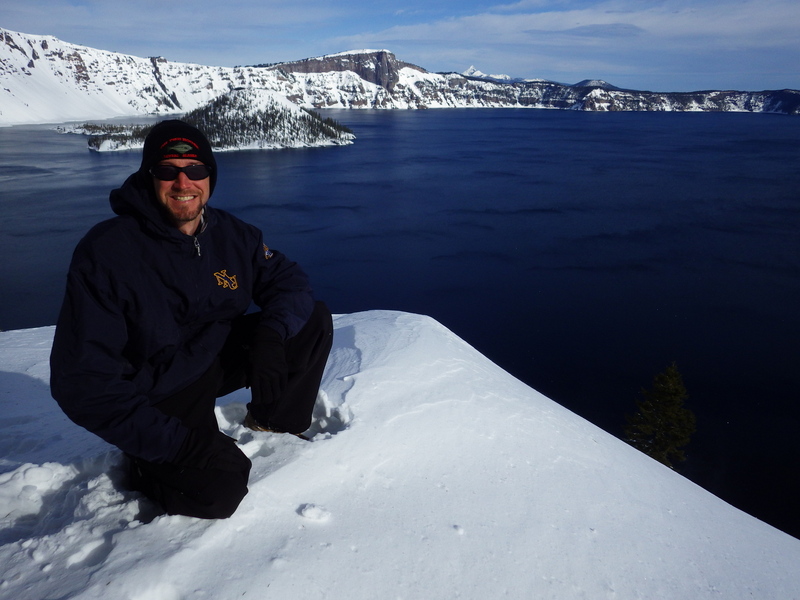 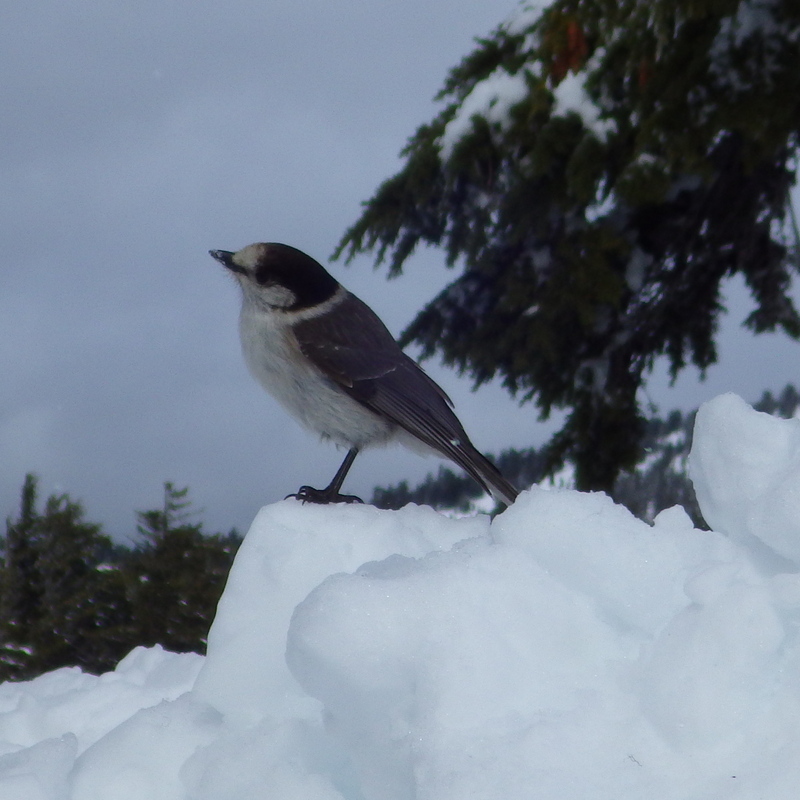 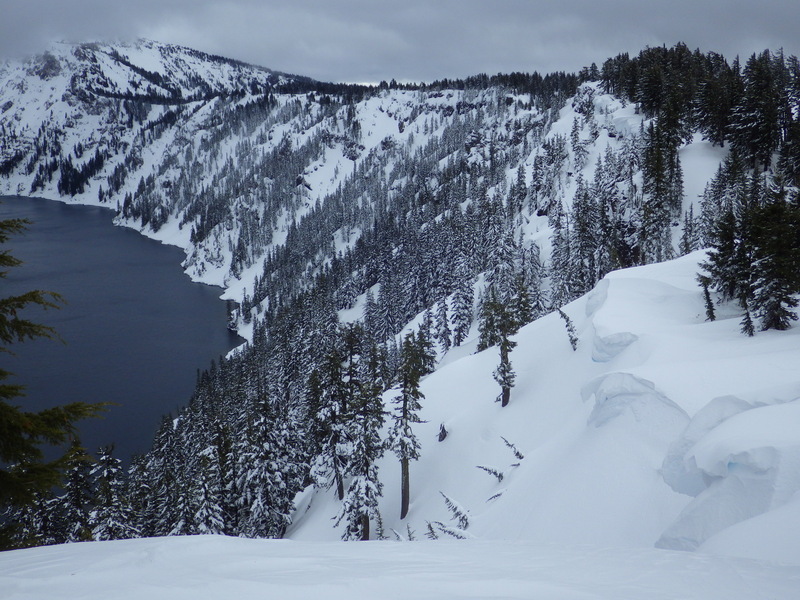 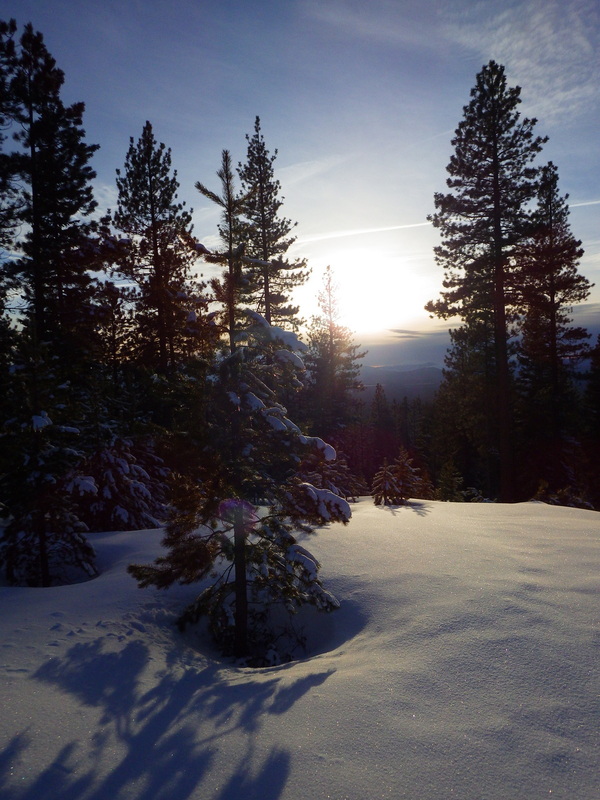 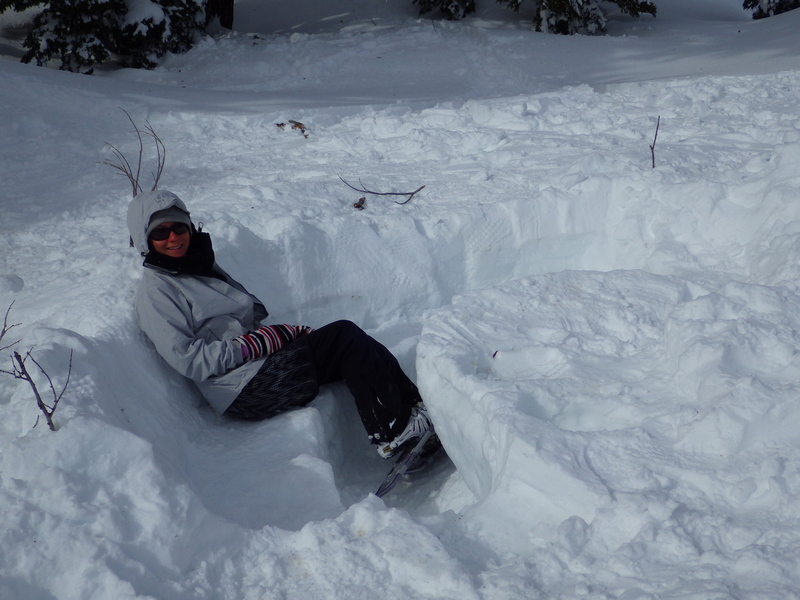 Description: In the winter, loop roads around Crater Lake become user-packed snowshoe trails. 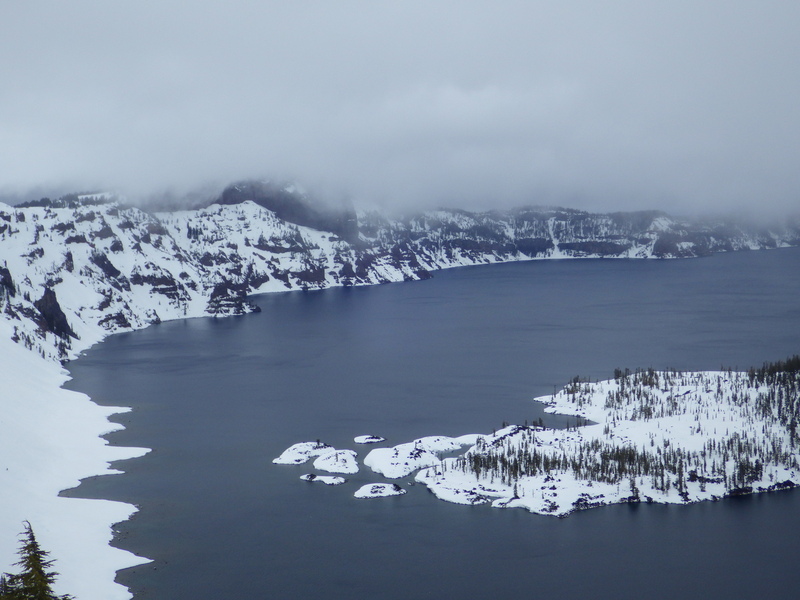 Views can be stunning, but often are shrouded in clouds at 7,000 feet in elevation. 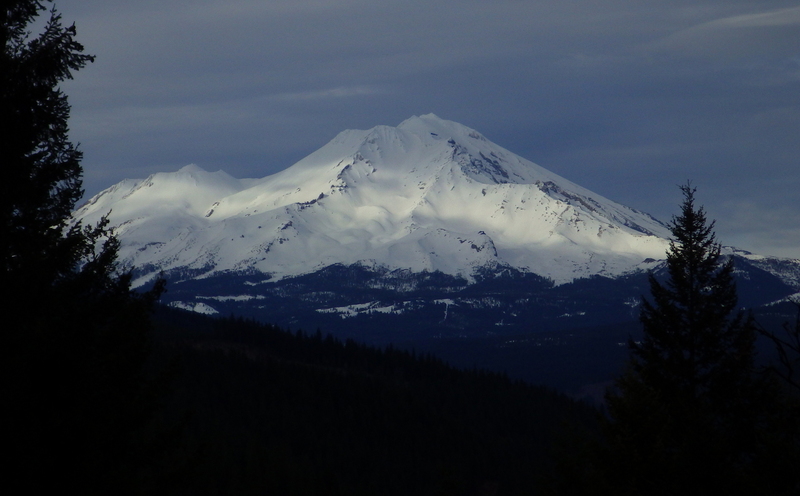 We feel lucky to have seen it on a clear morning before the snow blew in. 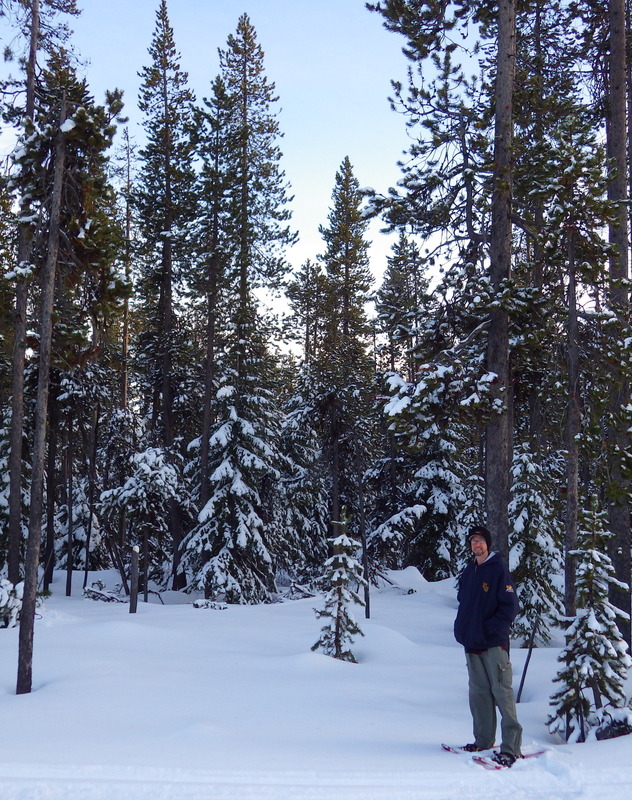 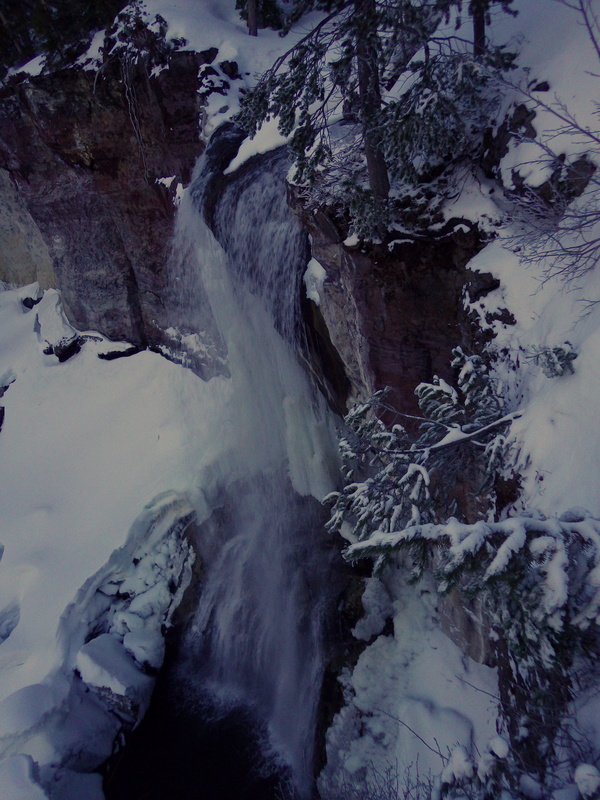 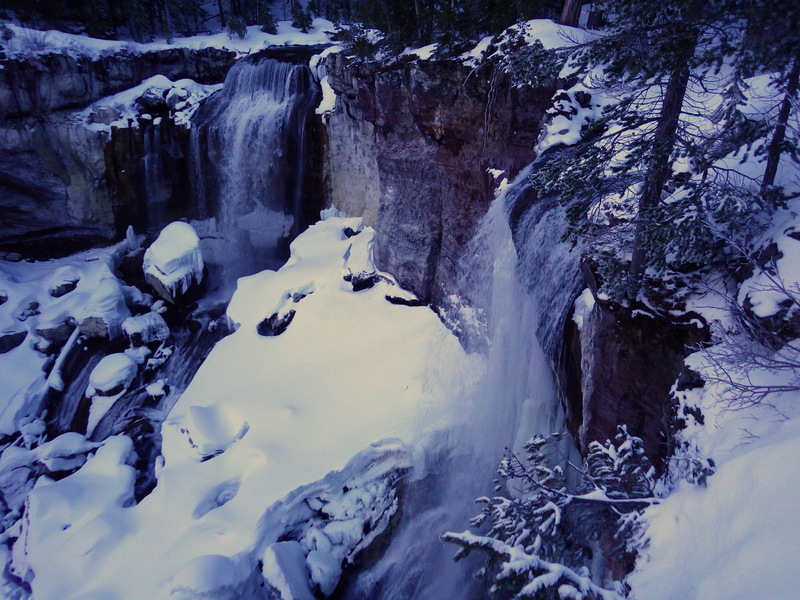 Description: Snowshoe through forest 3 miles on snowmobile-packed road uphill to beautiful Paulina Falls for a total elevation gain over 600 feet. 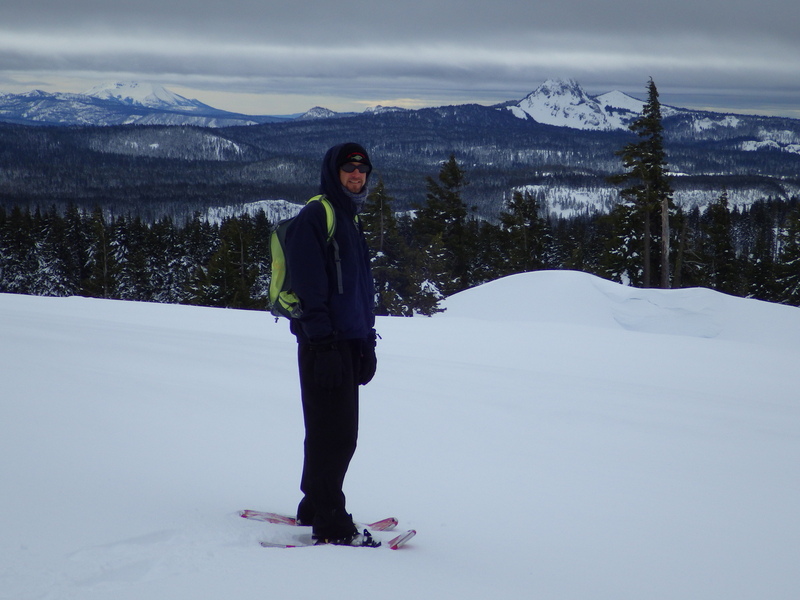 Obsidian Mountain in the background. 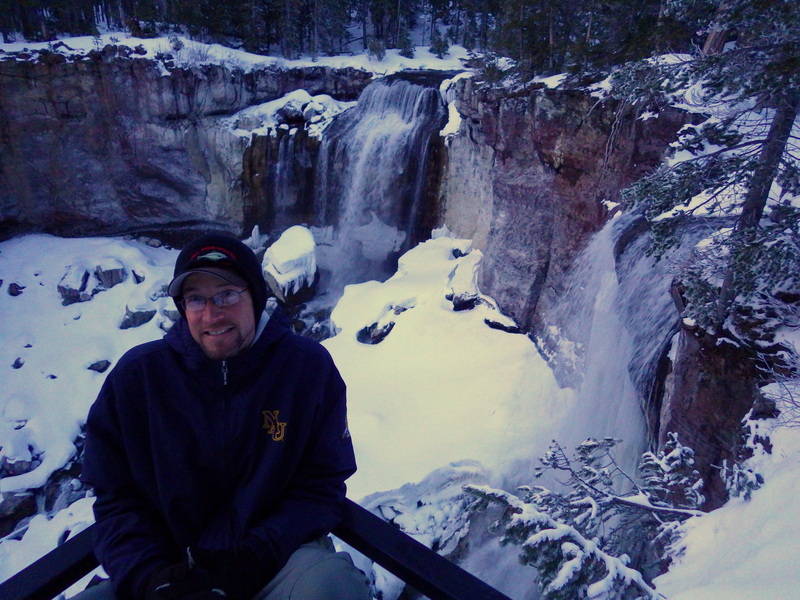 Scott at Paulina Falls overlook.